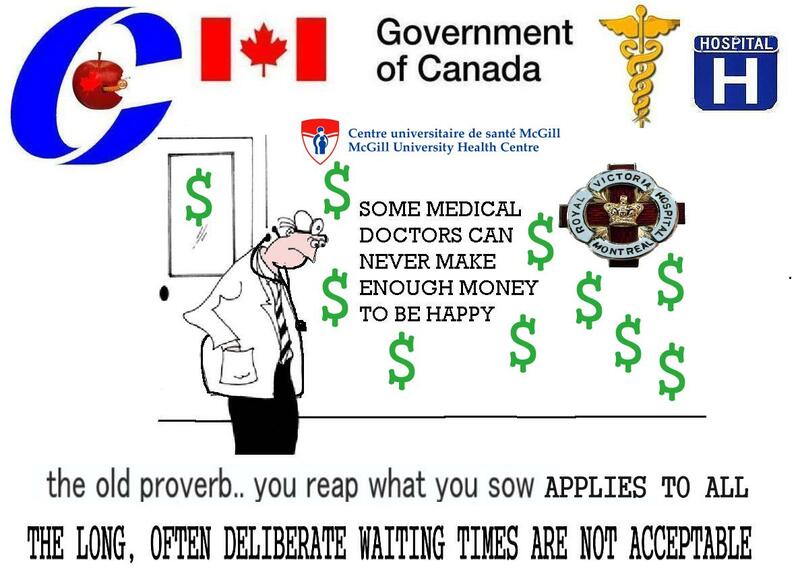 FOR TOO MANY DOCTORS 300,000 $ PER YEAR IS NOT ENOUGH FOR THE.. WHAT GREED. You may find it hard to believe but I have talked to 100 Doctors face to face more than once and most women were the better Doctors. I have for years often encountered useless male Doctors too. 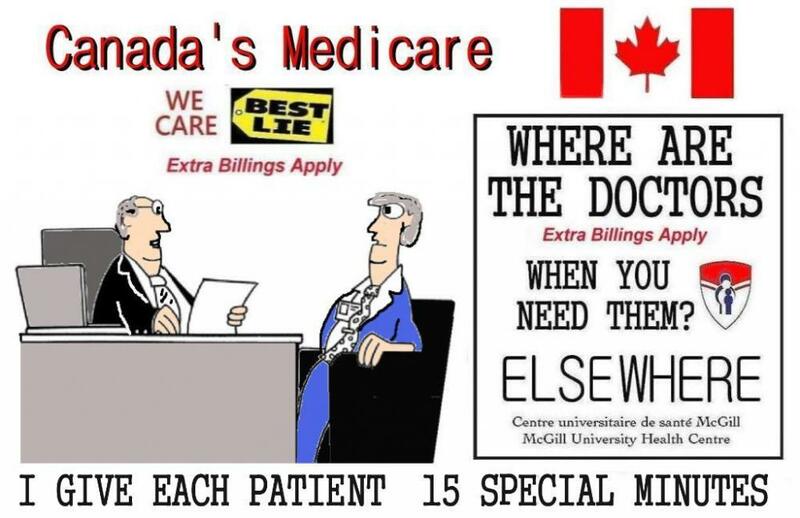 The University of Montreal Hospitals were some of the best I have encountered. 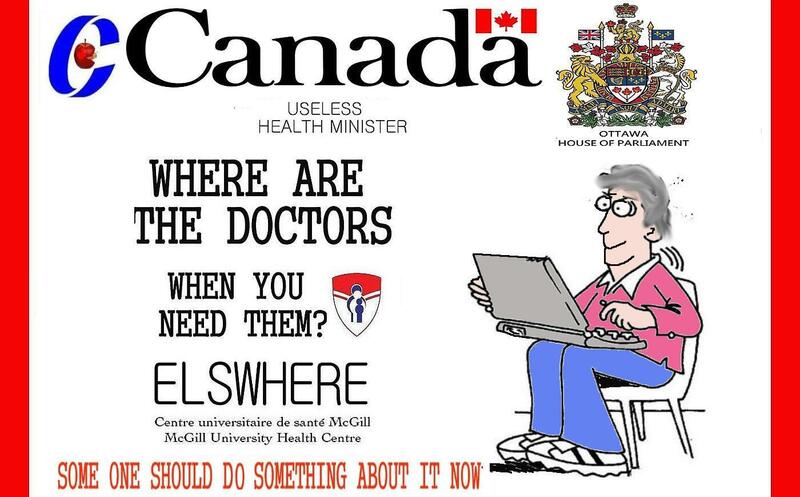 I have often seen it myself, too many McGill doctors wrongfully in no hurry to help the really sick persons. Now some of these clearly bad persons who still cannot face the negative reality about themselves, the ongoing especially bad nurses and doctors, lie and try to divert my truth by saying that I hate doctors and nurses, so well let me make it very clear I do rightfully hate each of the bad, pretentious, lazy, no good doctors and nurses who are not doing their jobs properly and are causing other people to continue to suffer as a result.. so should we all.. and they should always be fired ASAP.. Hospital administrators included. Is that clear enough for them now? That includes now also all bad cops, bad politicians, bad church pastors, bad news reporters now too.. Where is the real McGill Dr House when you need him? Just a TV fiction still! The parents Lisa Guerin and Jonathan Hope of a 16-month-old girl who died are guilty of failing to provide the necessities of life, a judge ruled The two were ordered to stay in custody until March 19, 2010 when a date will be set for sentencing. 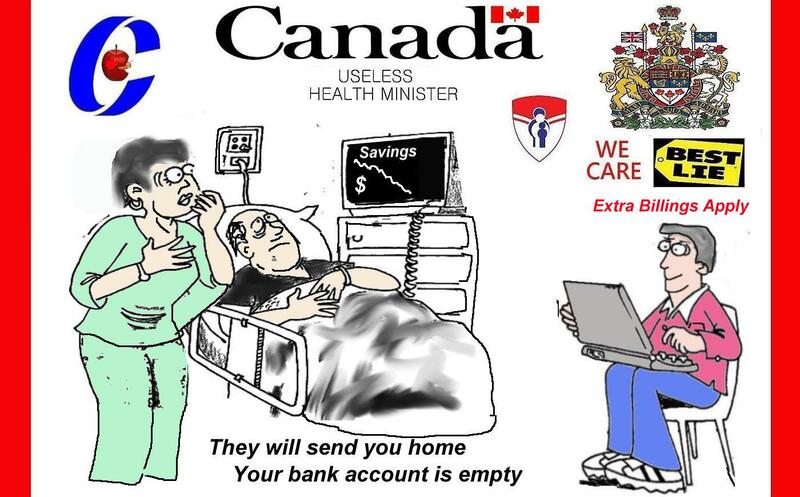 This also applies to all bad doctors and nurses, Health ministers and administrators now too who fail to adequately look after any sick patient. I recommend reading this before something happens to your health and you end up in the hospital. 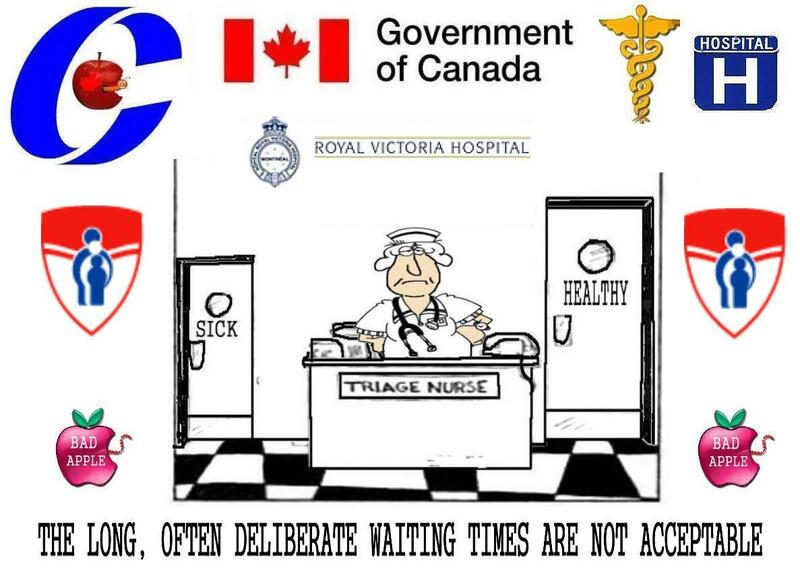 I read somewhere that almost half of us will have an inpatient stay in the hospital prior to the end of our lives. I don’t think we can ever be too prepared for something that can have such an impact on our lives, or the life of someone that we love. 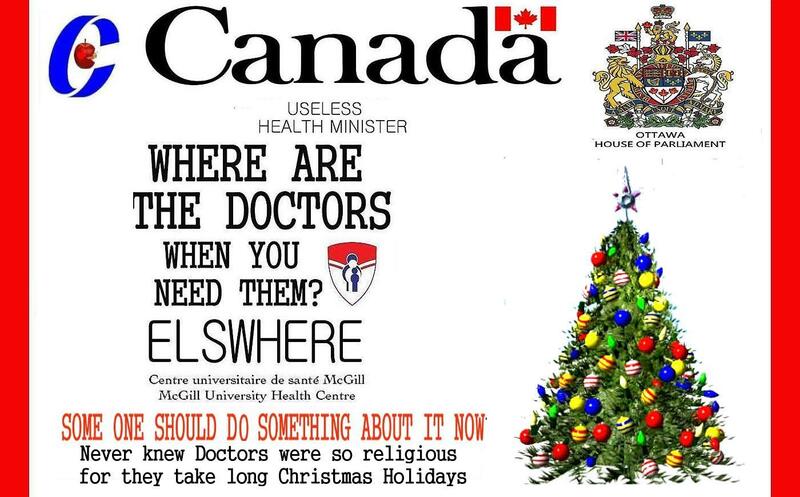 Rich doctors Canada wide seem to like to take long religious holidays, most of them clearly have no religion too, especially at Christmas time. 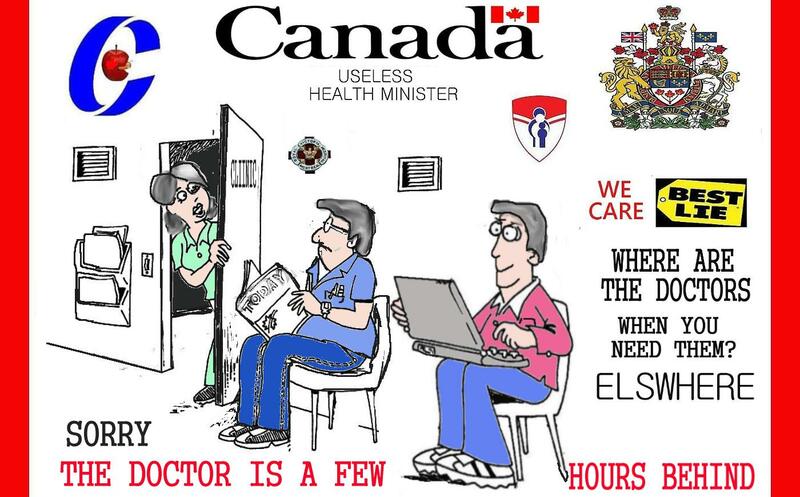 As a result there is a drastic hospital Clinic, Emergency room services reduction and even closures in some part of the country because there is no doctor to fill the shift. 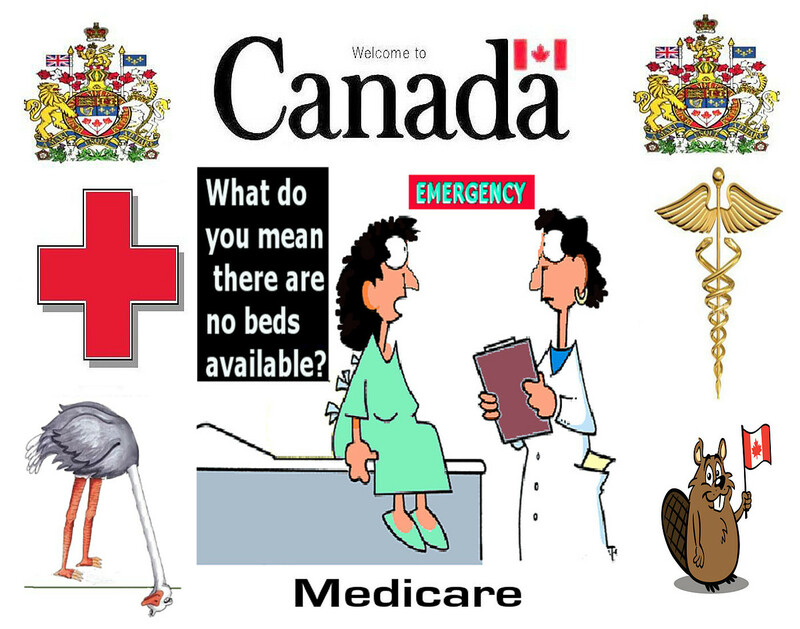 SUMMERSIDE PEI – Temporary acute care bed closures will take place. The Department of Health has planned some temporary bed closures in hospitals across the Island as part of an annual Doctors slowdown during the holiday season. Emergency services, including emergency surgical services and day surgeries, will remain fully operational during the holiday season. 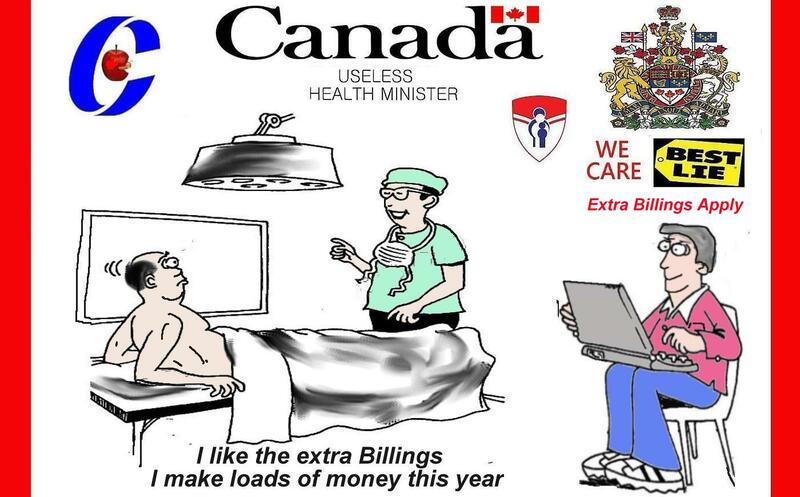 Elective surgical services will be reduced for a two-week period at both Prince County and Queen Elizabeth Hospitals. 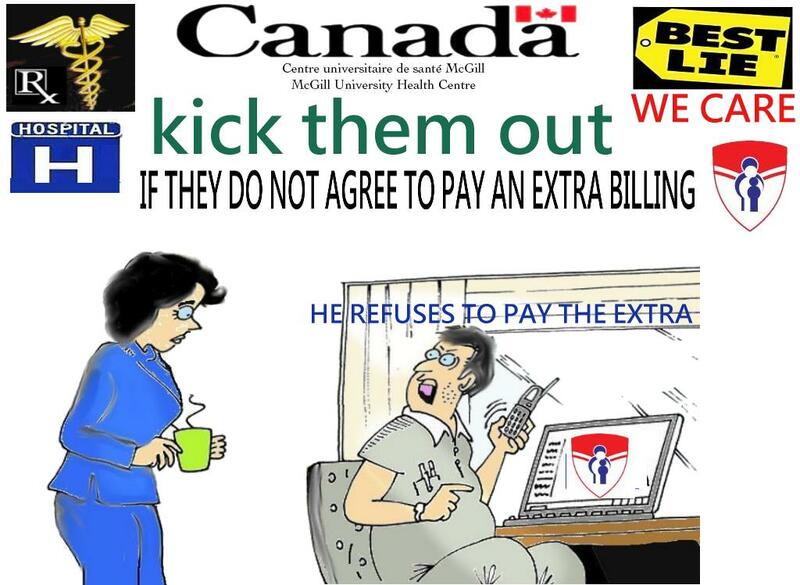 Any Doctors also who are putting patients in danger, have a lack of accountability , are over-billing for work is always still inacceptable too. You’ve read the headlines, the ones that end in disbelief, disgust. Wall Streeters who brought us the economic meltdown through their own greed are next rewarded with multi-billion dollar bailouts rich enough to float a mid-sized country . 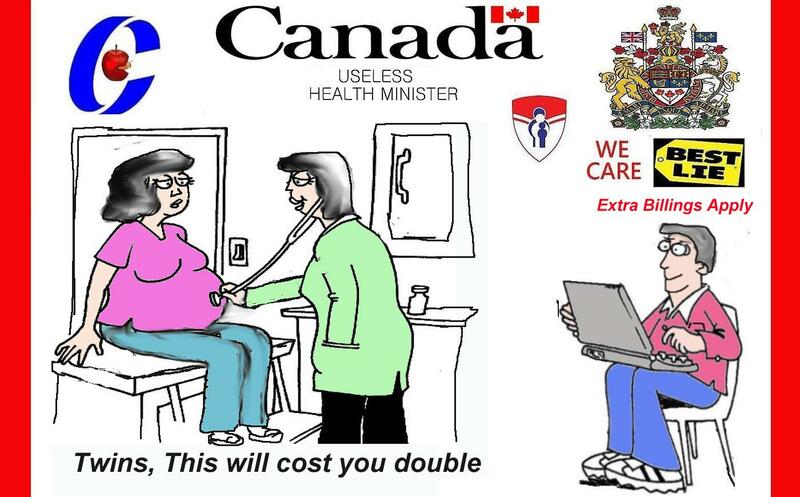 Meanwhile also many of the fat cats get fatter on the teats of the taxpayers, not a few of them too. Now we also find out some of the windfall wizards used their aid to pay off creditors while ensuring the bonus gravy train was stoked and leaving the station and some of the top the executives gave themselves big raises, bonuses for it still. Most of the money from many non profit institutions, corporations, never gets to help others. 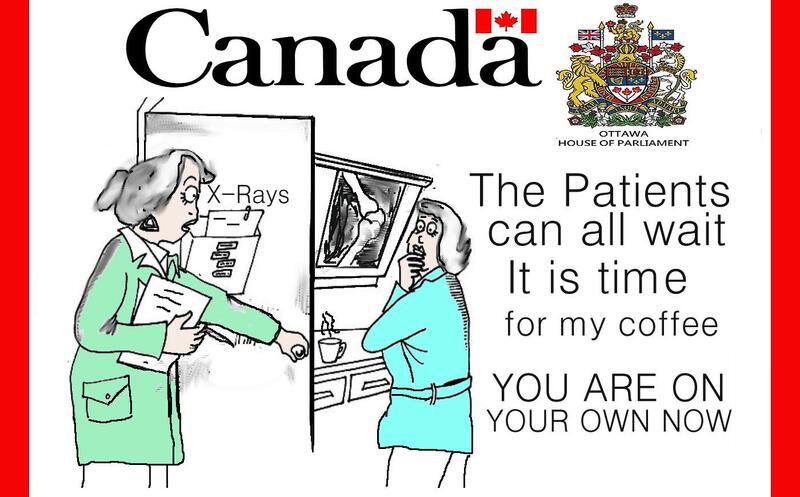 Even many medical Doctors, are selfish, self serving. We hear about big corporations still gouging the citizens with their high, unreasonable prices too. 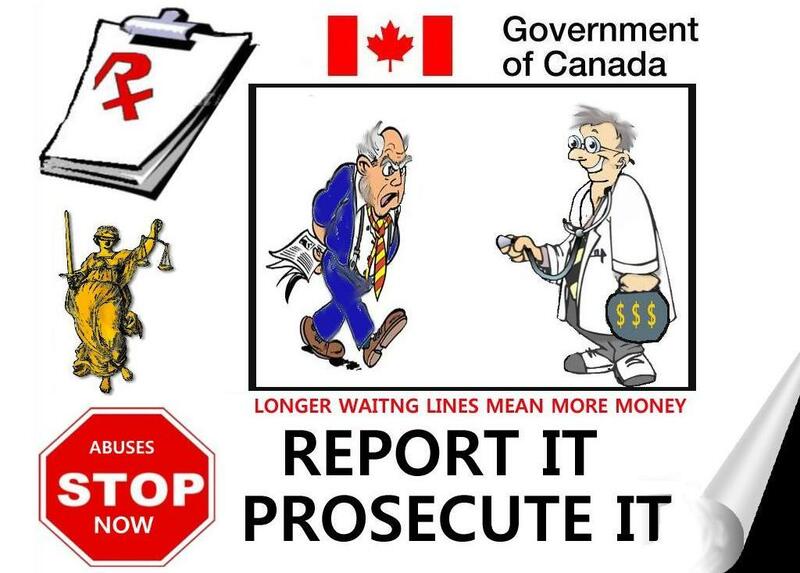 We again hear about big corruptions , thefts still going on by our civil and public servants, at the federal, provincial and municipal levels in Canada and you often now do wonder why it still goes on? The answer is very simple, for you have not cried, demanded justice loud enough for many to hear. Do so now too. Contact now the news editors, governments , police today. Even again. 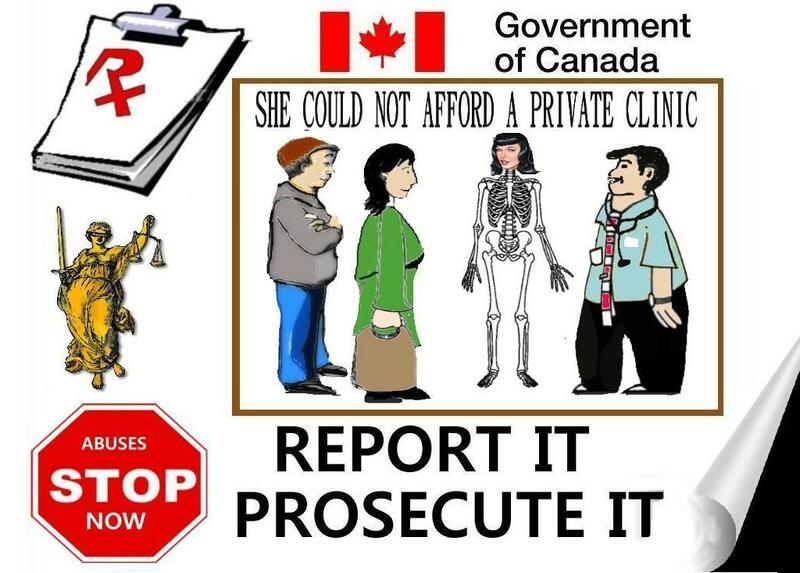 Hospitals now wrongfully, immorally using their resources, personnel to recommend private clinics run by greedy, selfish, self centered, charge card happy doctors is unacceptably wrong and put a stop to it now, today. 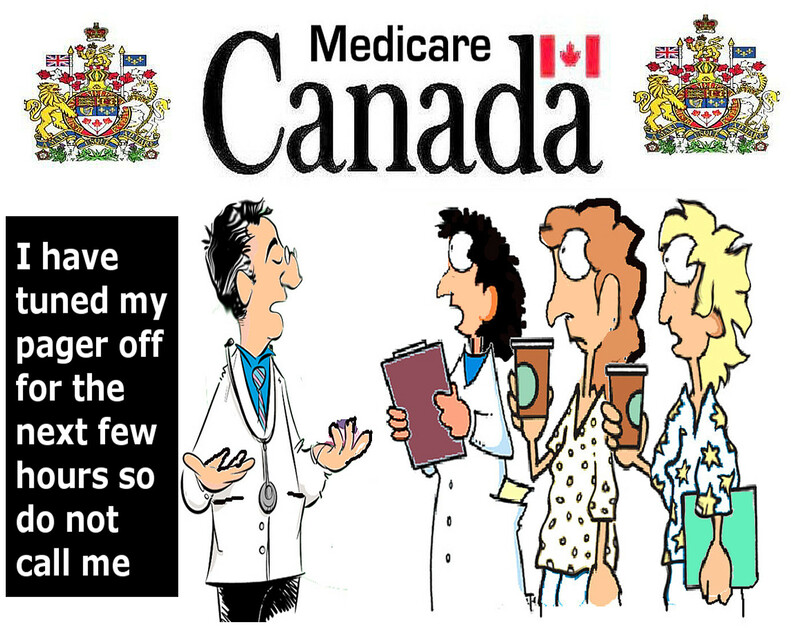 Fire their bad medical instructors for a start too.. Money hungry, greedy, self centered doctors are all unacceptable still too. 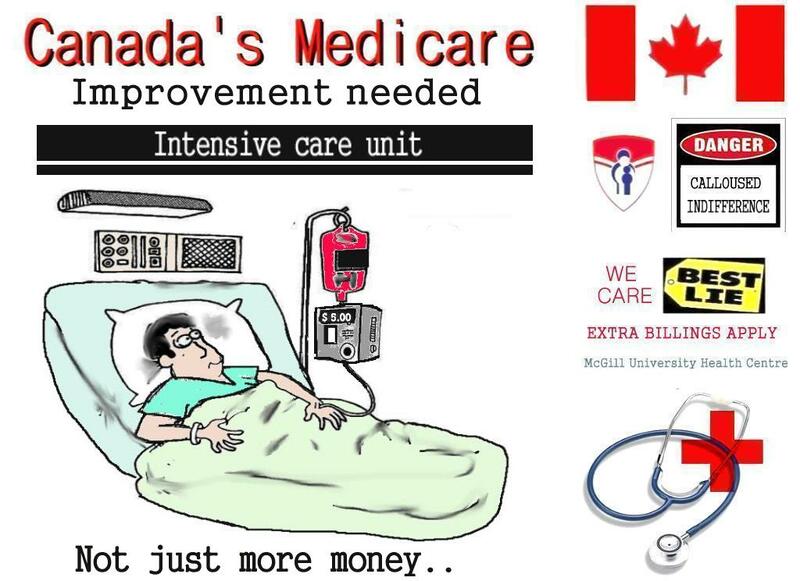 The British saw next the end of their World wide British empire when they had stopped providing Medicare to India.. Now who real cares about the patient’s good welfare if not the government, or the Hospitals or the charge happy doctors? What me alone? 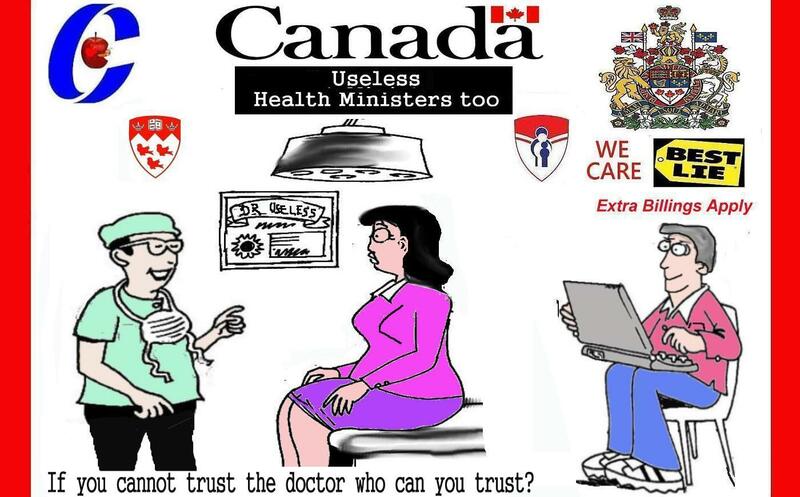 and not our Health Ministers still? 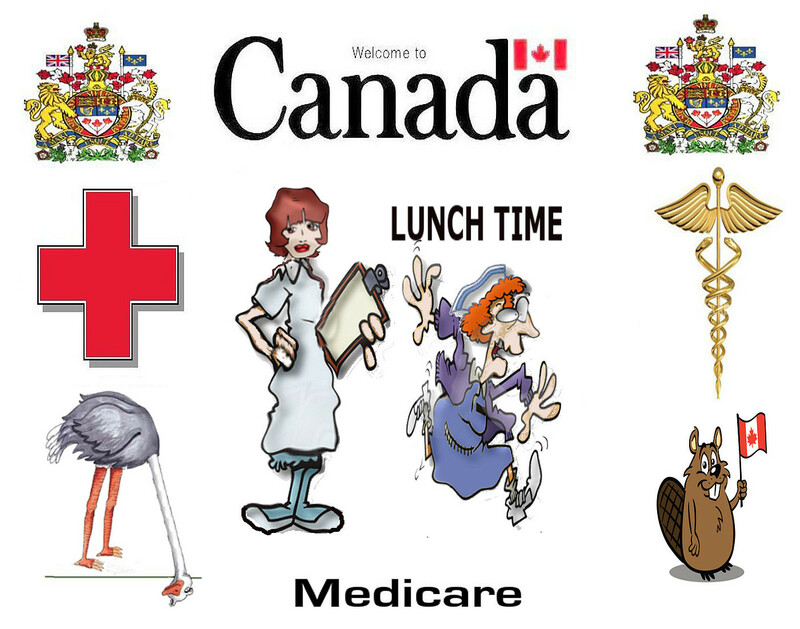 Canada’s health care in theory but not in practice is supposedly available to all Canadians of all ages, all nationalities, Canada wide, from sea to sea, needless to say Health care in Canada is not universal and it depends often on the rich and influential persons, sports celebrities getting better services, and depends on local provincial governments, the local institutions, hospitals offering it, and also on the size of the city, populations. Big cities tend to have more expertise that still are not available to all.. 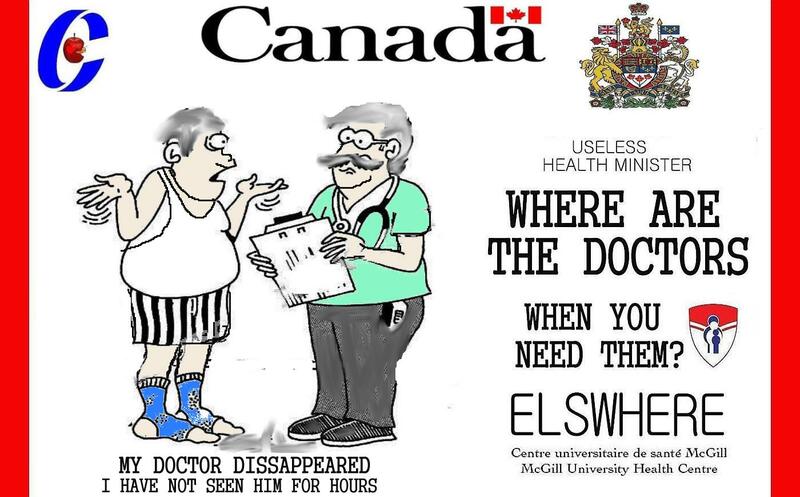 It is often a mere waste of time going to a mere local, family doctor if you have a serious illness, he likely would not diagnose it anyway, especially since he does not have the medical knowledge, expertise, access to the proper medical tests. 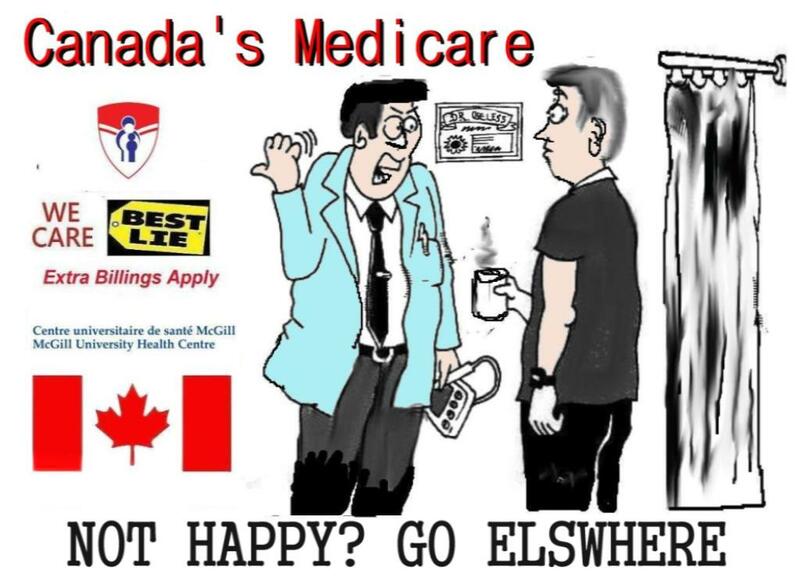 The best place to go to is the emergency clinic at a hospital, but they too will try to discourage you by insuring long patients waiting lines… cause no one wants still to work too hard, not the hospital administrators, ombudsmen, support personnel.. but they all still want to falsely keep their knobs, jobs and their pay it seems. 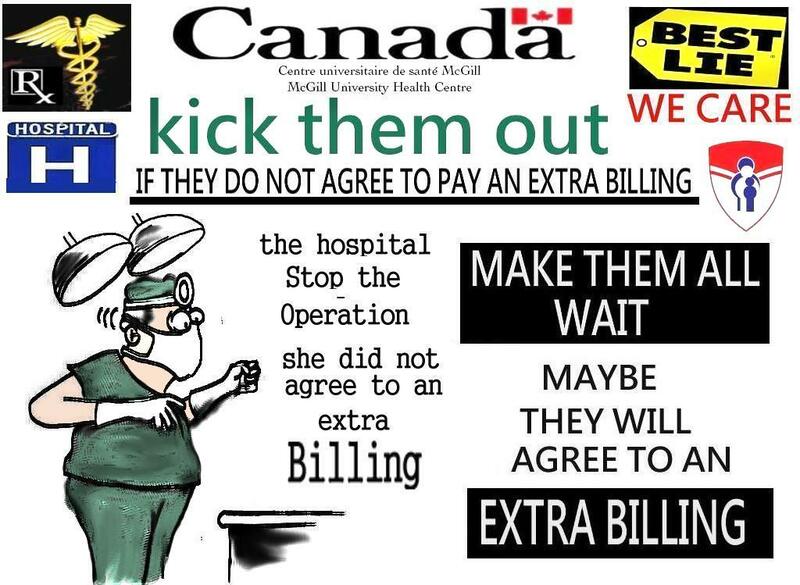 A poorly managed Hospital and personnel is still always rightfully unacceptable even if they are McGill Hospitals. I also here really could not help but notice that the aspiring, ambitious doctors in training work much harder over those who have graduated and who now tend to sit back on their laurels. I spent today over half of day at my the McGill RVH clinic just to get my medical test and a medical consultations, from 8:30 am to 2: pm. During this process I sat for 3 hours at the departmental clinic reception waiting 3 hours for my one test. 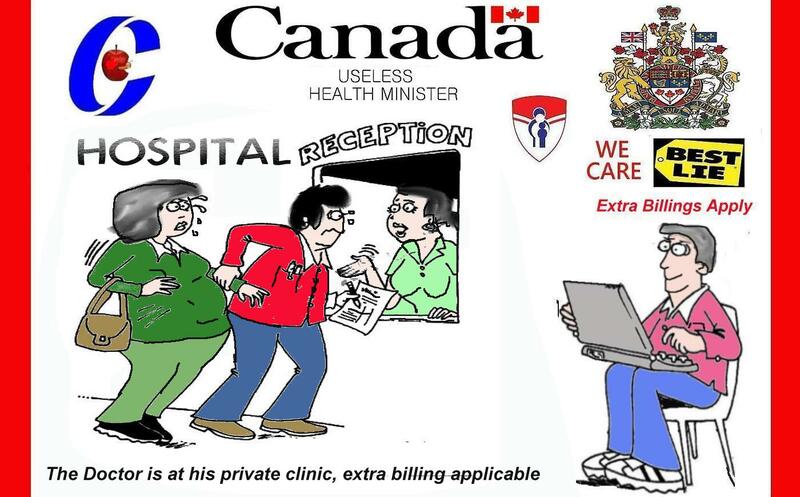 The reception had now received many phone calls for many a Doctor ‘s appointment, and they next were all generally told the waiting period was 4 months at least, till mid April, but if they now next paid 30 dollars extra they can see the same doctors now, two of them at their private clinic, likely within two weeks. 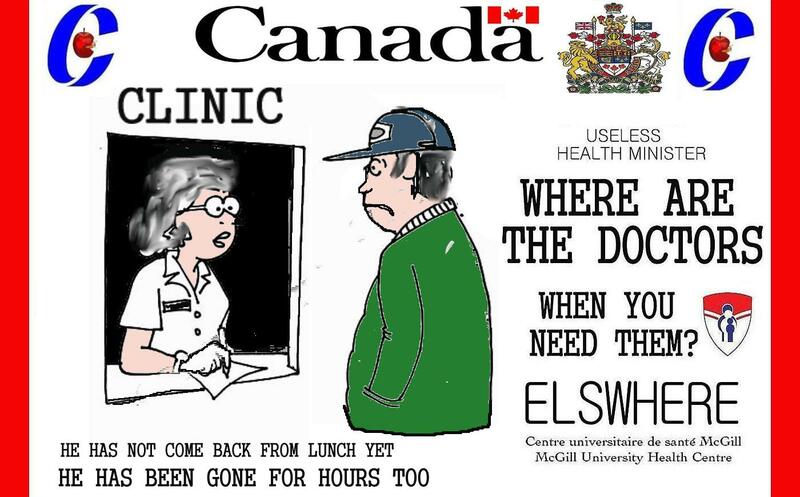 The doctors only attend the Hospital clinic twice a month as well. 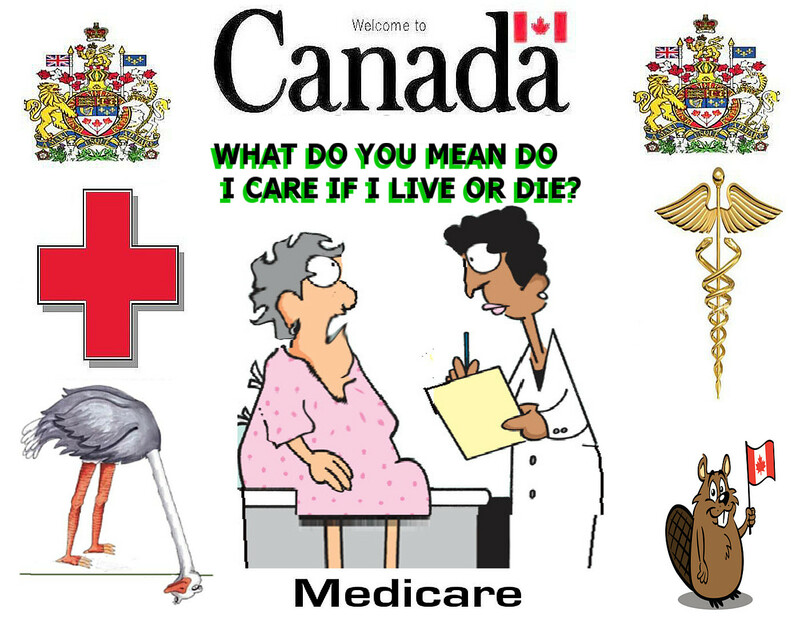 Meanwhile they apparently do have a personal doctors office, and a secretary and a private examination room at the hospital all paid by the citizens, This is what Medicare has unacceptable become. 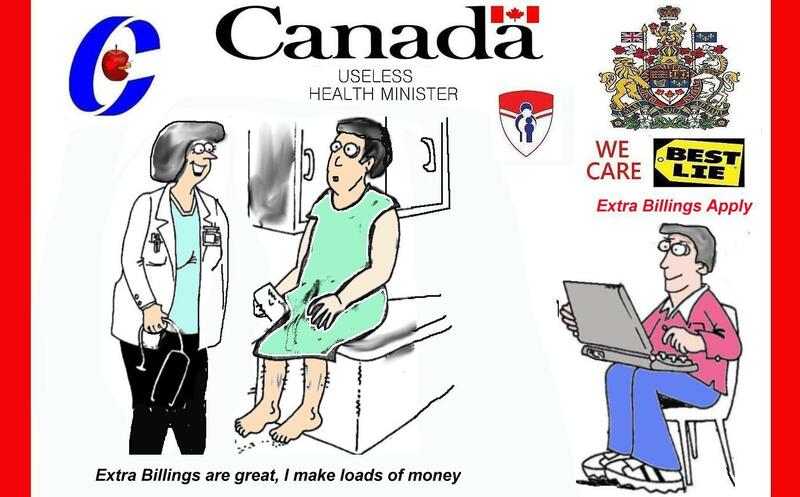 A two tiered health care system. 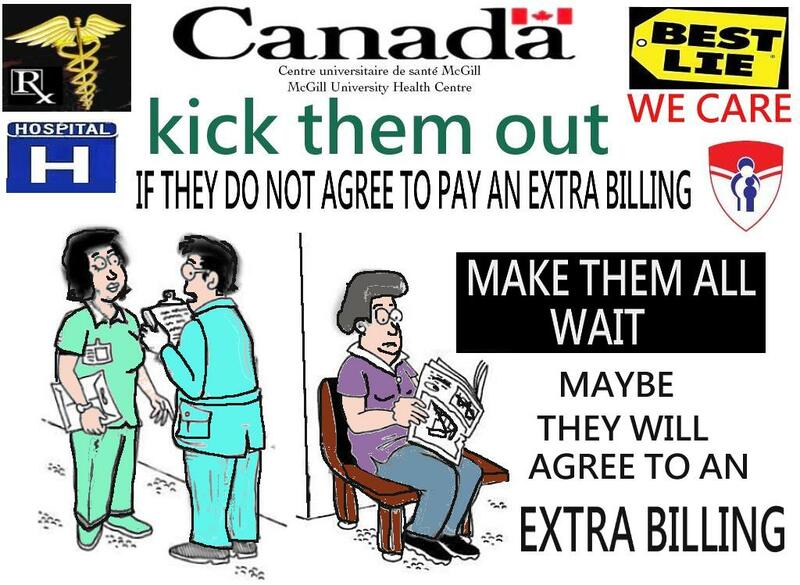 It is an undeniable, unacceptable fact that some people who cannot afford extra billing do without medical care, I myself now here saw a few people walk away from the reception appointment desk when they were told about extra billing fees. 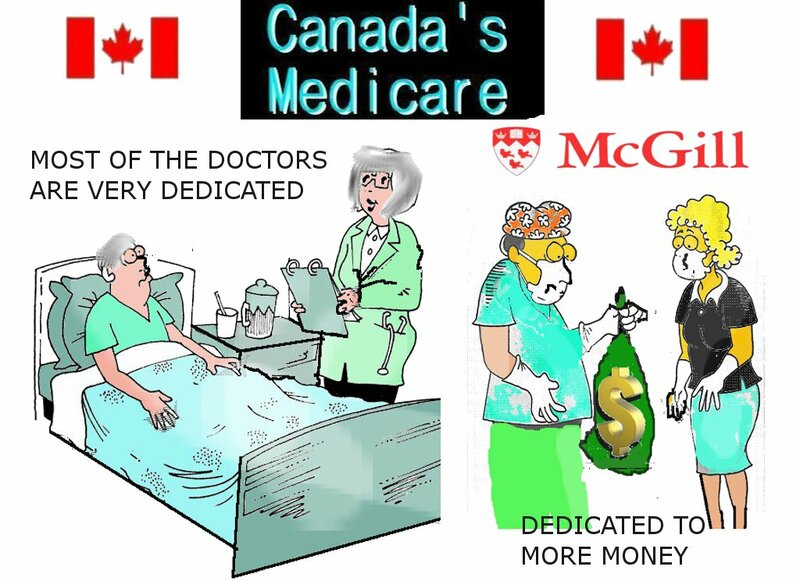 It is a perversity that the Doctors and dentists education is mostly covered by tax payers, and generous donors and yet the Doctors next try gouging us all for more money, the McGill Doctors especially. 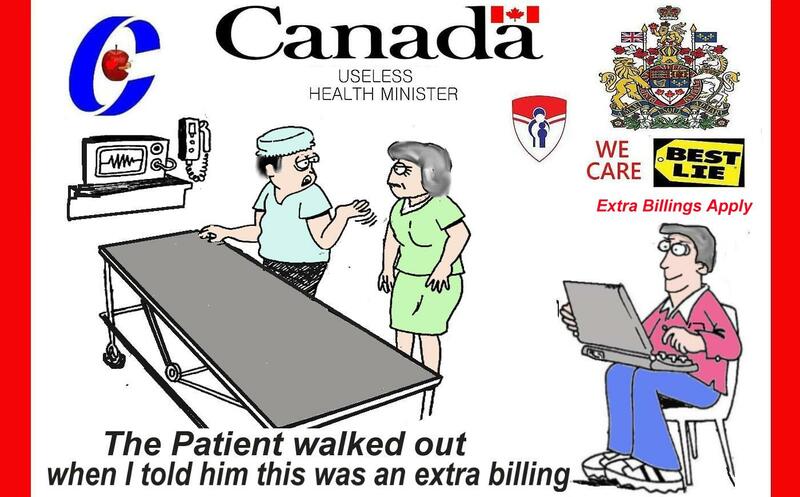 So does the Quebec and federal health Ministers still want me to write all this up to the Hospital ombudsman, who do not reply to me, etc., while they still gets paid for doing nothing here too? 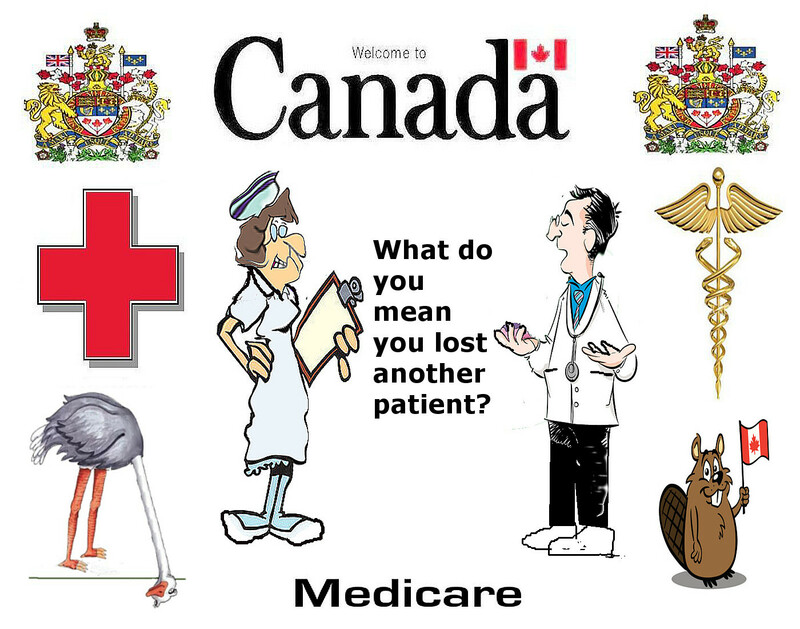 The governments have basically passed down the responsibility of the management of the health care systems to the individual hospitals, who basically have no interest in seeing, managing medical costs reductions, or improving their medical performances, rather it is to their sole interest that the gravy train flows abundantly, after all more patients, means more money for Hospital administrators, ombudsmen doctors and nurses and more job guarantees for them too.a-2 Next absurdly the government asked that I manage the health care system personally and I should file a complain with each doctor, Hospital that I am dissatisfied with, and even supplied me the name and address of their responsible boards. Me doing now freely all of the governments work with our Ministers, civil and public servants get paid, rather for stealing the taxpayer’s money.b-1 Firstly I have said many times already that anyone going to a charge happy private Medical doctor when you are seriously ill is a waste of them, for generally as I have often experiences now as well he or she are not adequately qualified nor does he have the necessity equipment to diagnose quickly and accurately the problem never mind deal quickly next with it’s solution. 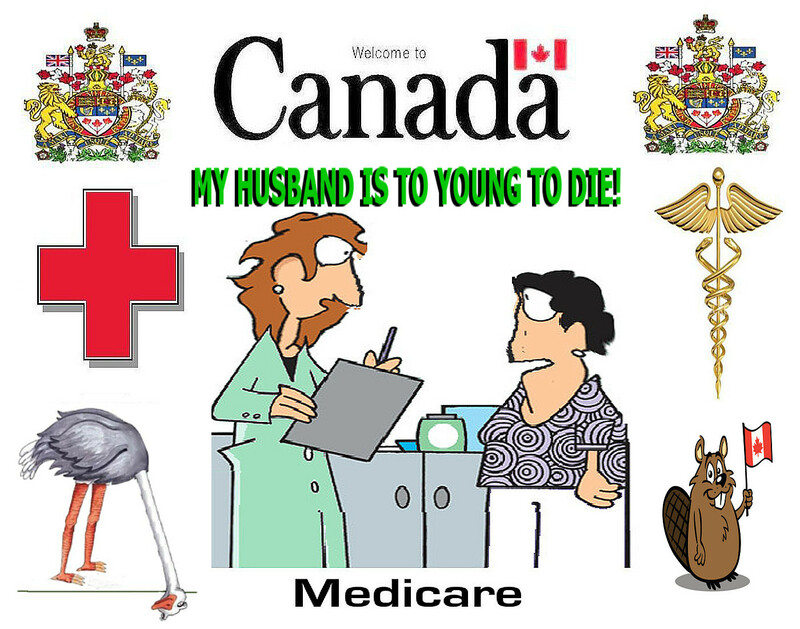 If you are seriously ill you still do have to go to a Hospital, triage, the emergency department.. cause they have all the medical equipment there need for the serious testing’s. b-2 Some times they there can help you at the triage, emergency and some times not. 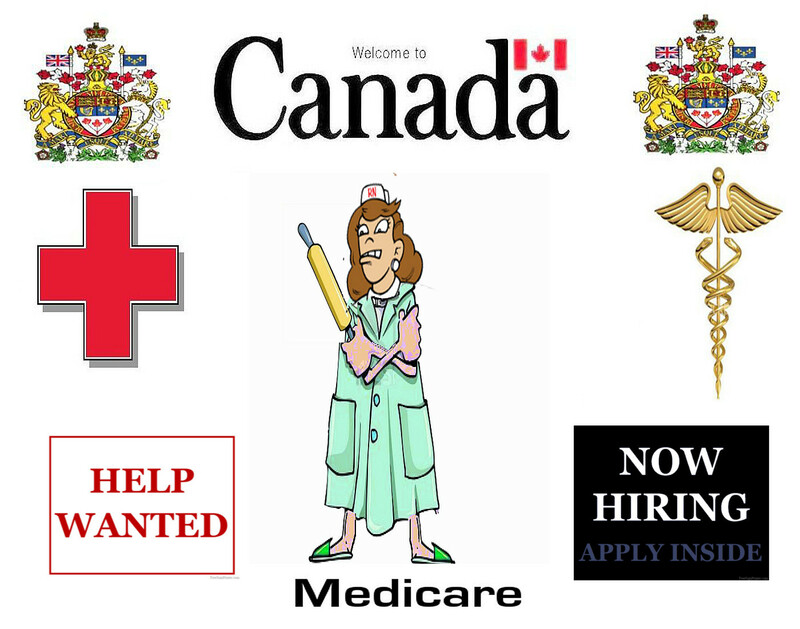 Mind you are not insured of immediate success here cause you are put often on a waiting list even often next at least 6 months or more. 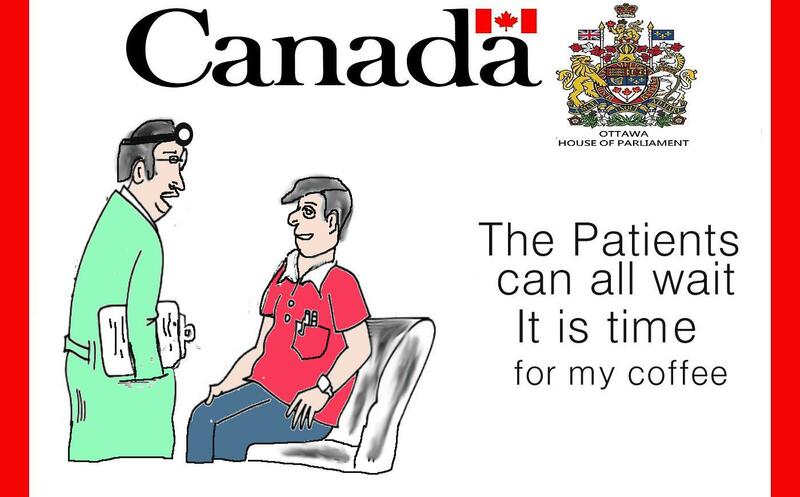 I have also been waiting one year to see a new, knee specialist at the McGill Montreal General Hospital already. No Hospital here on its own now had provided adequate follow-up, medical services to me, rather I was forced to complain about the poor services, and only in one hospital did the complaint help. 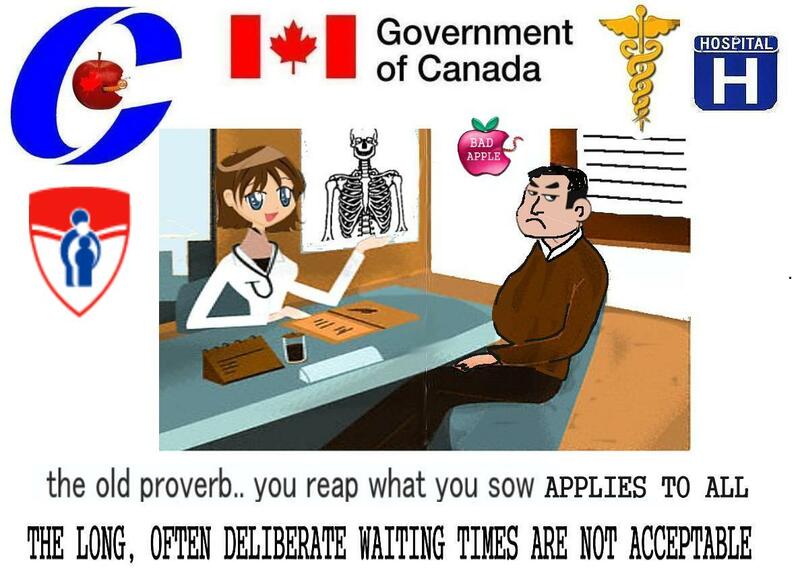 Now if I should continue to do the health Minister’s job should I also not get his pay now too? 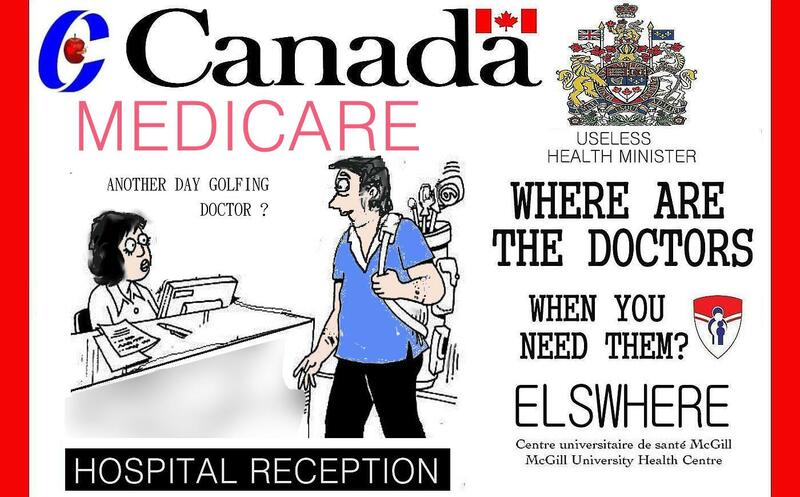 Friday evening the RVH ombudsman finally returns my call and now passed my file to someone else.. I will see what the results next are here too. 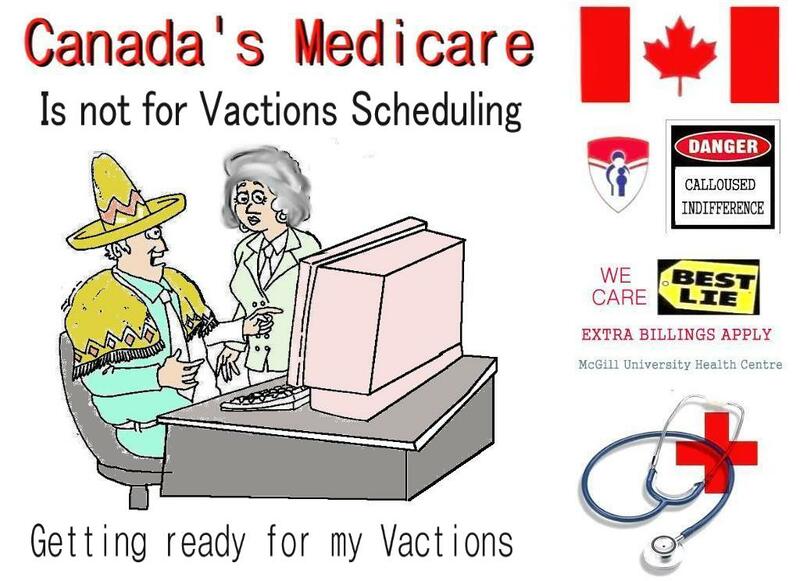 An administrative doctor from McGill next had called me and had falsely tried to justify the RVH receptionist sending almost all of the patients to see the very same doctors at a private clinic where they will be charged more for the same service by saying all Hospital are overcrowded.. he must have thought I was really stupid.. for I have been employed as an engineering contract manager and if the fabrication shop gave the same false excuses for their late product deliveries in reality they next went out of business, because rightfully in the private sector clients did not accept such lame excuses. 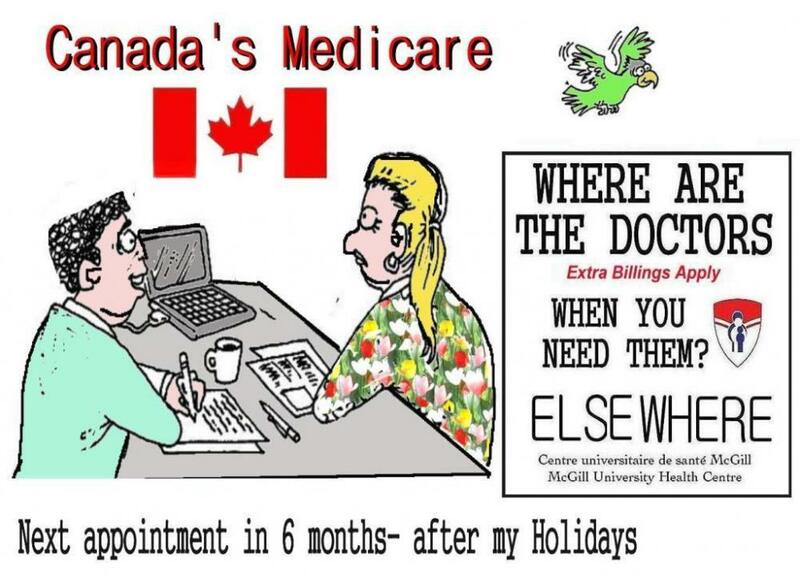 The same clearly stupid, pretentious Doctor had asked if my problem that I have now had for over 6 months had cured itself since last week when I saw the RVH doctor? Hoping naively he would not have to work? or just dumb? 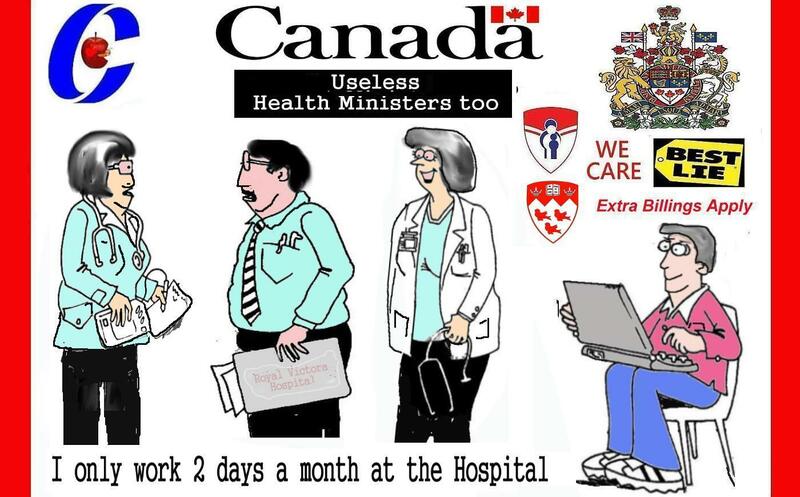 If miracles mow here were so common why would we need the doctors ehh?Nice to be in the public service where you can take it easy and blame another department for your own lack of real, viable productivity. And now how stupid do they really think we are? Fire rightfully very bad persons that I have dealt with so far too here. MEANWHILE I AM STILL WAITING HERE FOR POSITIVE RESULTS TOO. 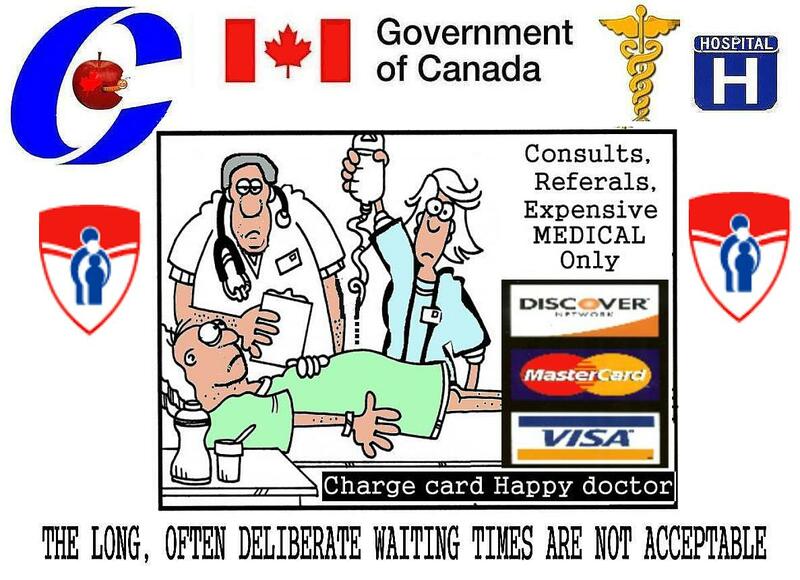 – I phoned the Montreal General Hospital Ombudsman to complain about waiting over one year to see a knee specialist. and the person claiming to be the Ombudsman said that one to two years wait was acceptable, normal, and I said what were they doing about it cause it was rightfully not acceptable for me. 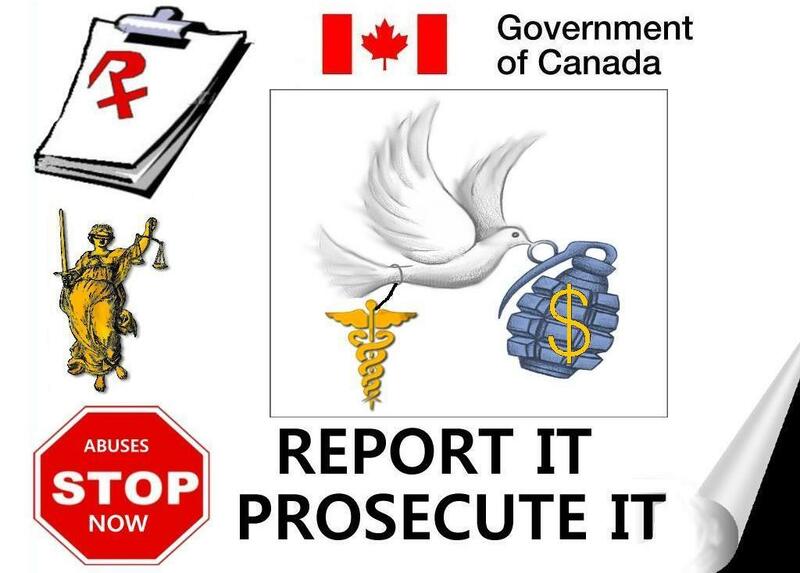 She next told me she was not the Ombudsman but she would pass me to the Ombudsman, so I immediately by phone talked to the real Ombudsman next and I told her the same thing and I wanted to know what they were doing about it.. she said a Hospital committee, Board of directors was discusing the issue with the Quebec government on being able to hire more staff.. I said I wanted specific actions here. She said she would mail a complaint form. I told here my complain was very simple, one line, posted on the internet for the whole world to read, I have been waiting over one year to see a knee specialist.. she was not interested in what was posted on the net, she started to get personal and lied that I was making a persona threat against her, I told her she was a liar, distorter who had failed to deal with my complaint firstly still.. 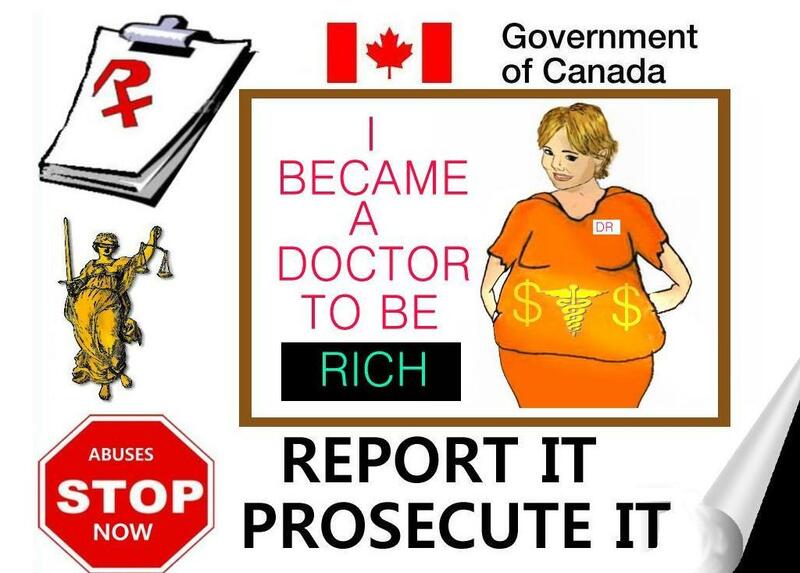 I told her my additional complaint was many McGill Medical doctors are pretenders, the pretend they will look after you but fail to do this adequately based on my real experience with 4 McGill Hospitals to date. I get better service with other University’s Doctors. She suggested I go to another Hospital and I told her rightfully asked her to deal with my complaint instead, and she said good-bye. I rightfully want more that just a complaint form being done here. 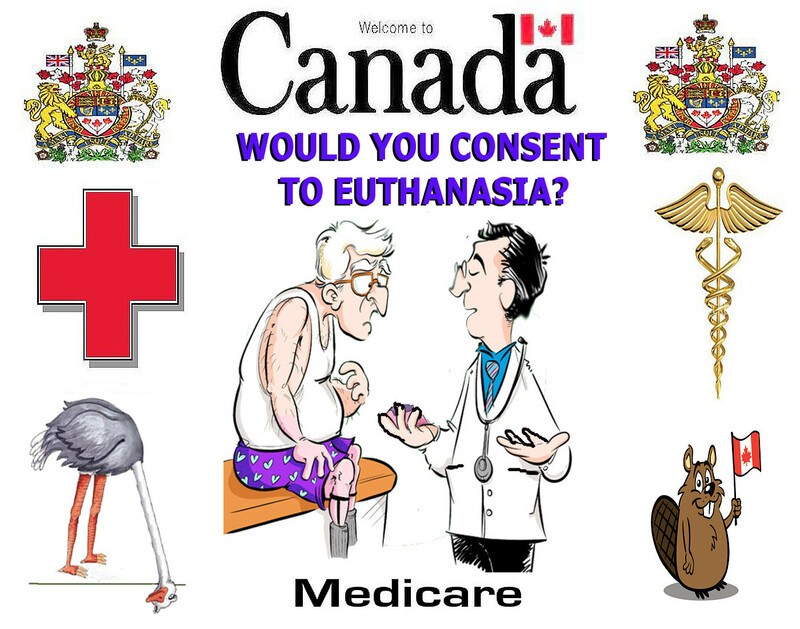 I told her I would follow this up with the Quebec government, news media too. I got useless response like this directly from provincial cabinet ministers many years ago now and I never accepted it rightfully so why would I accept such poor services, poor actions here too? 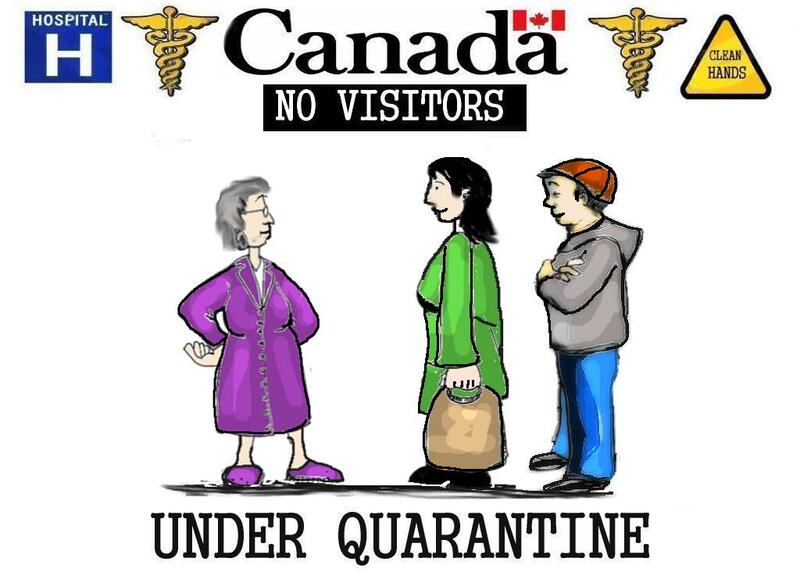 The Quebec government in writing had said to me this was all the Hospital fault, and the Hospital says it the Quebec’s governments fault, and I get caught in the meddle.. unacceptable. 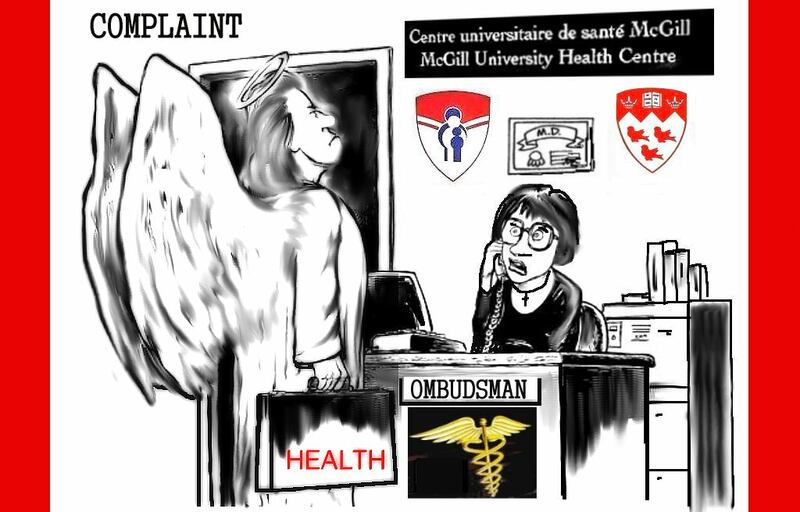 The McGill Ombudsmen, related McGill Doctors response was, is like musical chairs, every time you talk to someone you now do get a different lie, spin, distortion.. The RVH Ombudsman who had finally phoned me and said she was going to have another doctor do the follow up. 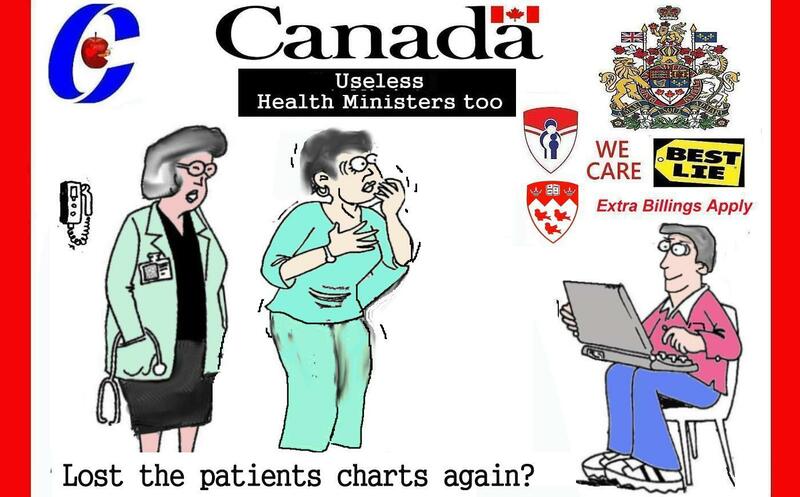 Musical chairs, or buck passing medical services? THE RVH ombudsman here so far was the best that I have dealt with. 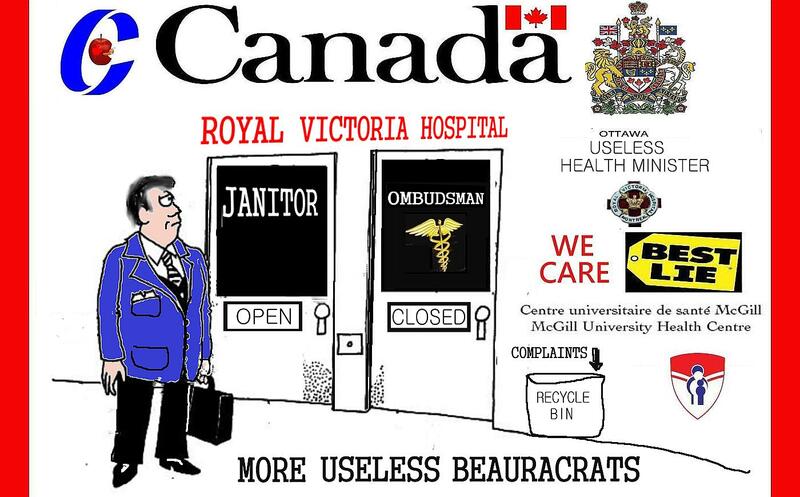 I have deal with 2 other McGill Hopsital Ombudsman too. 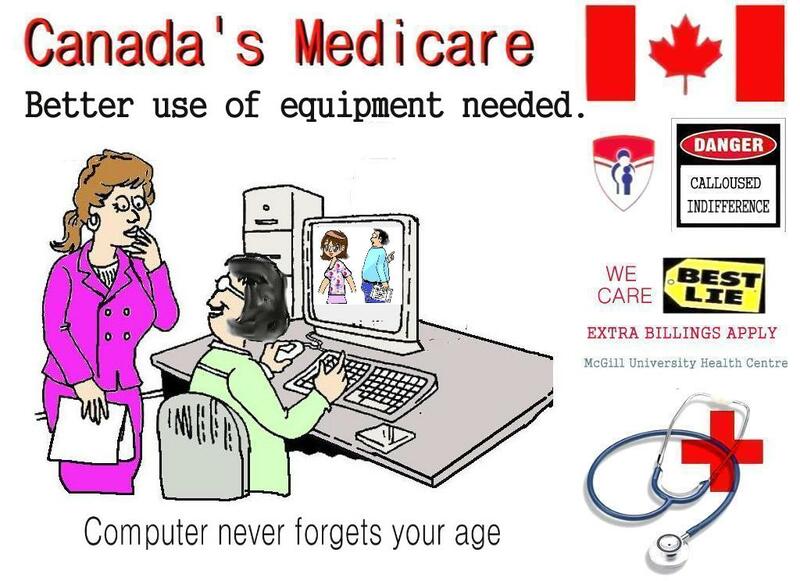 Now I have been wasting my time, even given the medical run around by 2 useless McGill Ophthalmologists from the McGill Lachine Hospital and the Royal Victoria Hospital over one year now about my swollen eye problem, and I had contacted the RVH Ombudsman about it now too many times.. their useless buck passing reply was finally the problem is mine, Not happy with McGill doctors go elsewhere, the problem is mine and and not theirs and there is nothing they can do about it now for I am on my own. 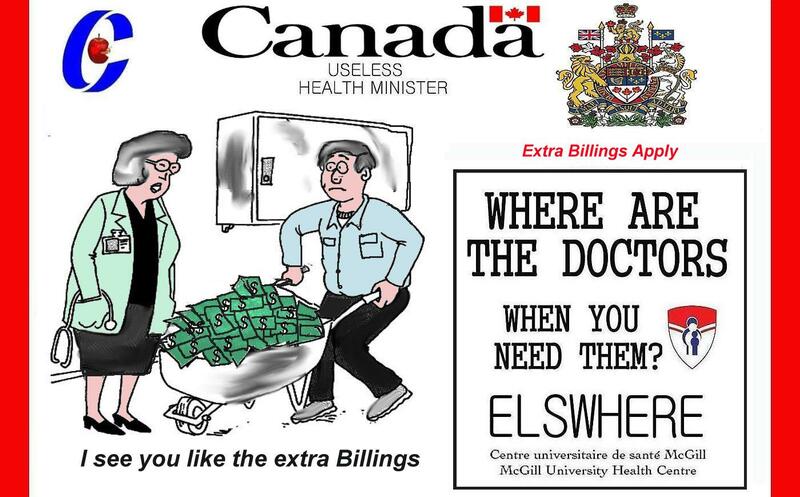 RVH useless Dr Morin . But well there is something I can do about it.. 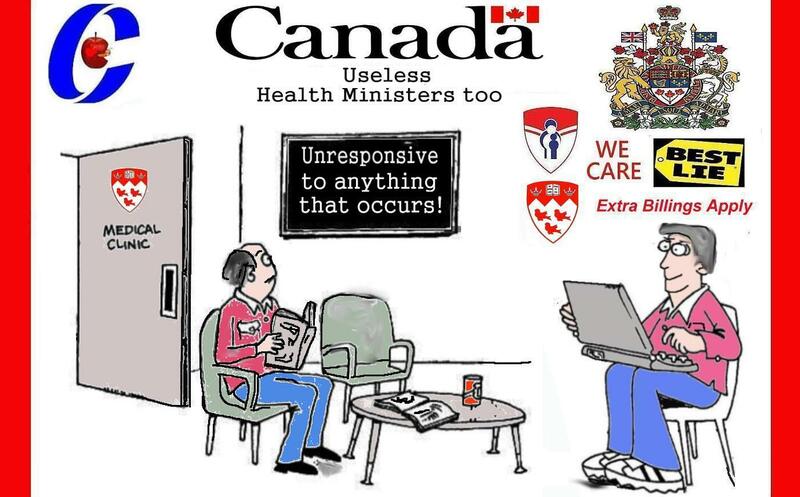 I can post what McGill doctors, hospitals, ombudsman and our Health Ministers are really like often on the net for the whole world to read often too. 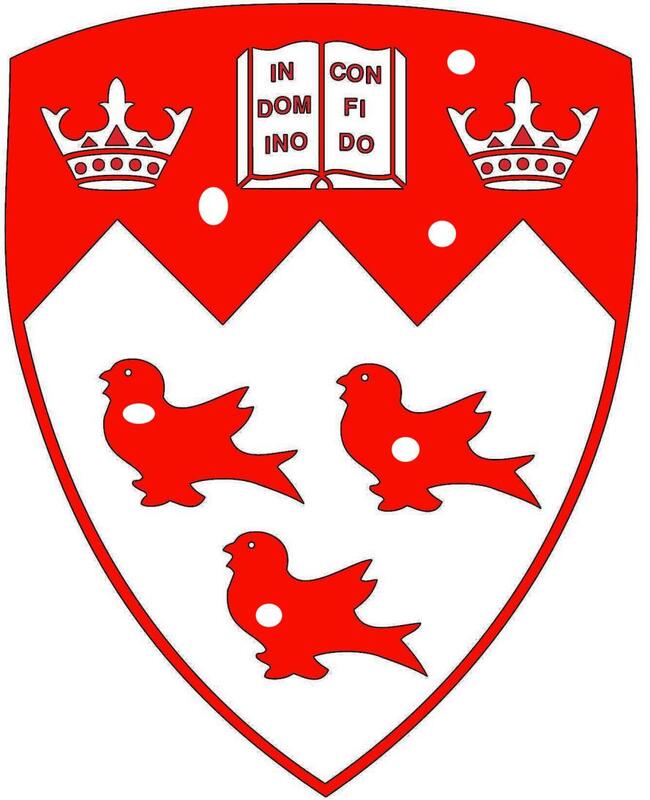 My McGill Royal Victoria Hospital DR OH Ophthalmologist has been a personal gem.. she has gone out of the way to find out why my eyes are swollen, with a complete eyes exam every 3 months.. she had helped my father but here she could not deal with my solution. 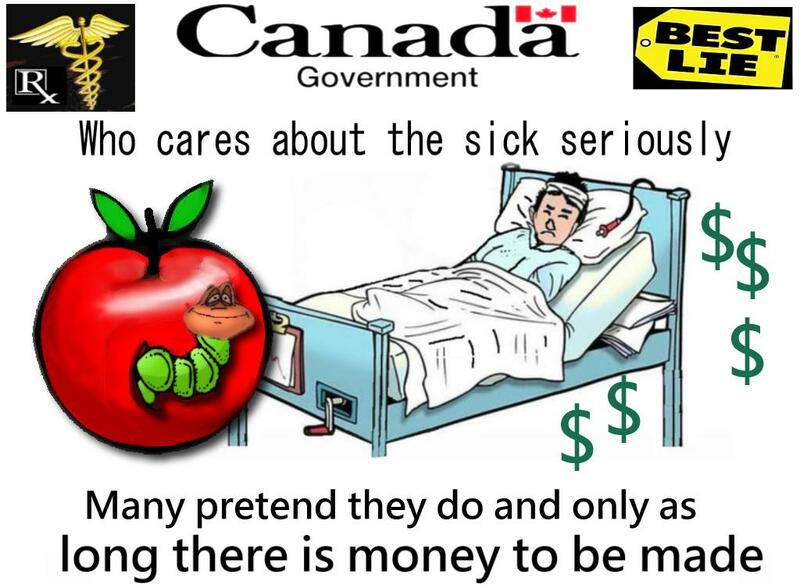 In Montreal I have been to the English and French Hospitals and I can certainly say that the McGill run Hospitals provide some of the worst nursing, Doctor services as well.. the RVH, JGH, Lachine Hospital, and Lakeshore General hospital included.. One rotten apple spoils the whole basket.. deal with it.. 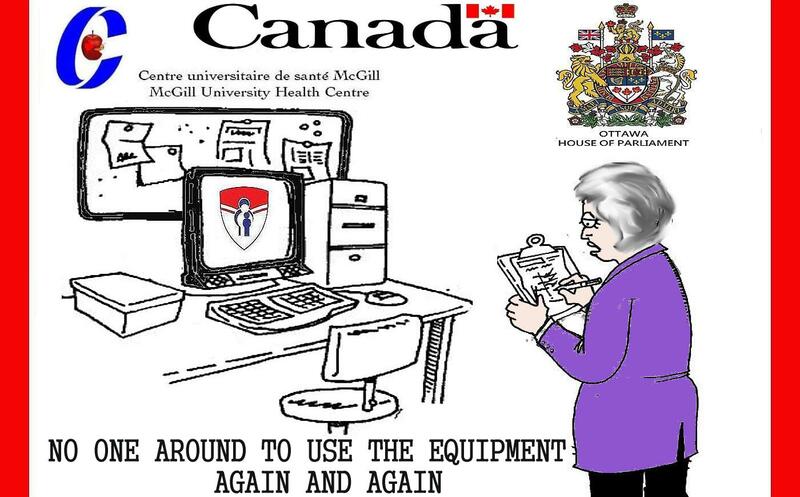 In contrast in a Quebec French hospitals where the doctors are also from the University of Montreal, the doctors are persistent and will continue to assist to determine my problem.. unlike McGill. In the old days they had at least now made a pretence to aid you when you made a complaint. 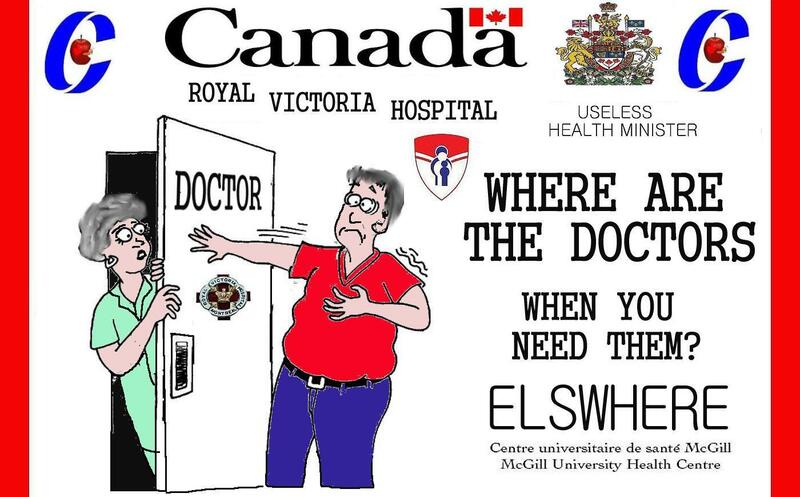 Now these days they seem in no hurry to get back to you, or they misfile the complaint, buck pass it, or just deny it altogether at the McGill Hospitals mostly it seems.. 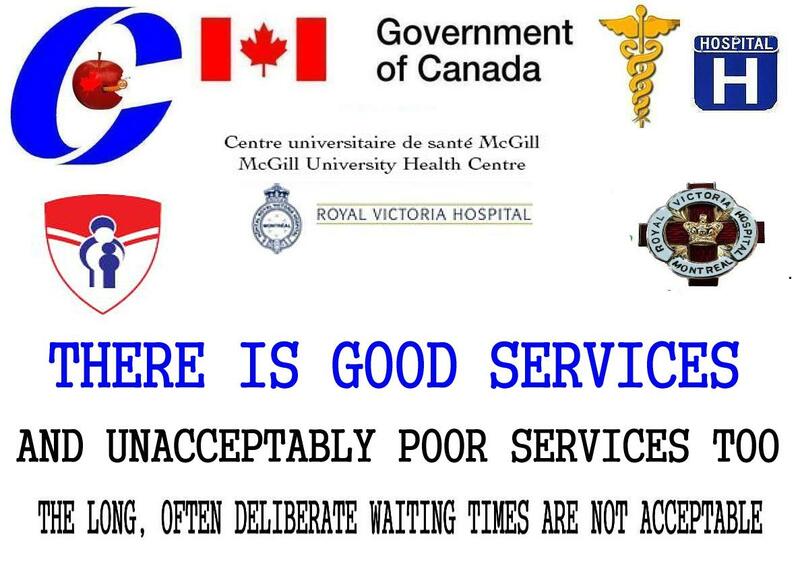 The Unacceptable Useless RVH Dr Morin too. 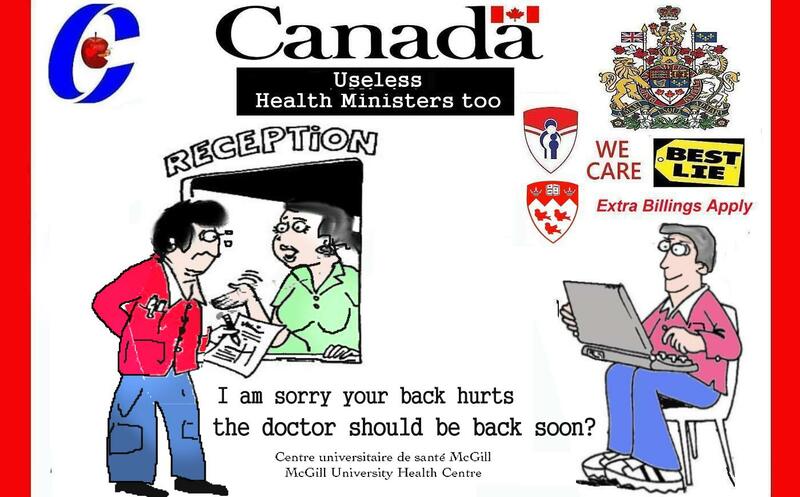 It seems that McGill University Doctors take on an attitude that it is condescending for them to serve us any of us, we all should be subservient and really should be grateful that they have agreed to help us. The Governor General Michaelle Jean delivers speech criticizing rampant materialism has delivered a speech critical of unrestrained market forces in a speech at McGill University. Jean told an audience in Montreal that life shouldn’t simply be about making money, but about helping people. The Governor General says market forces are extremely influential, and can risk drowning out such values as the common good. ” “We are living in a world in which spaces for critical debate, reflection and civic action are increasingly being assailed by the alluring sirens of fleeting gratification and cultural conformity,” she said. “More and more, impersonal market forces are influencing public life, while notions of the common good and altruistic action are being challenged by an ethic of ‘everyone for himself or for his clan.’ by ” saying no to a world in which our obsession with profit makes us turn a blind eye to suffering” and where “prosperity is detrimental to our environment,” Jean said. 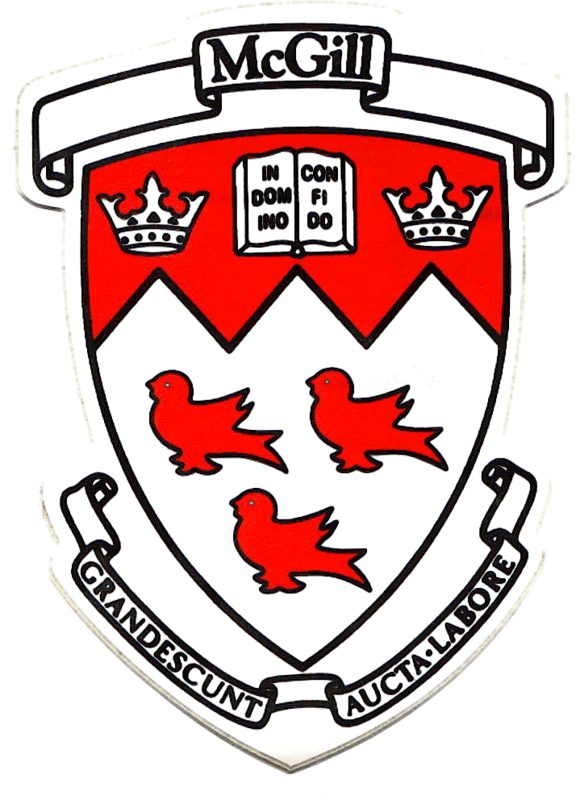 McGill University, one of the top ranking medical school in North American attracts many American students and competes with top American universities. The numbers of Americans enrolling in Canadian colleges has risen around 90 percent over the past four years. 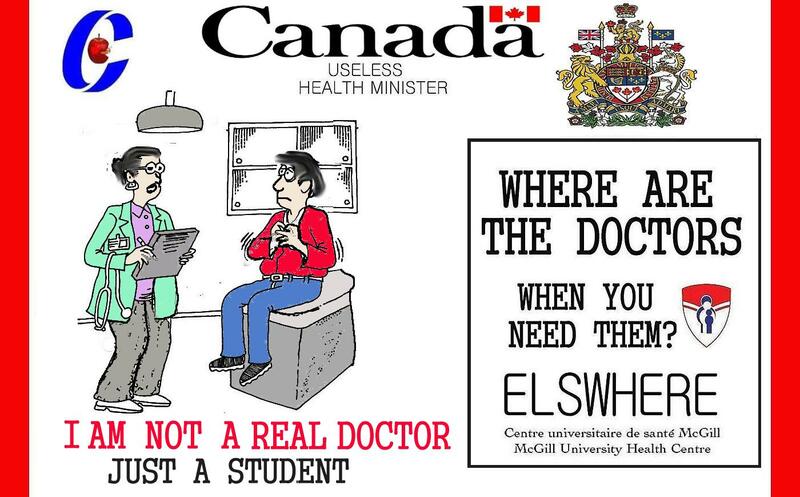 But how many American students want to attend a medical University that wrongfully, and clearly abuses the local citizens of Montreal Canada? 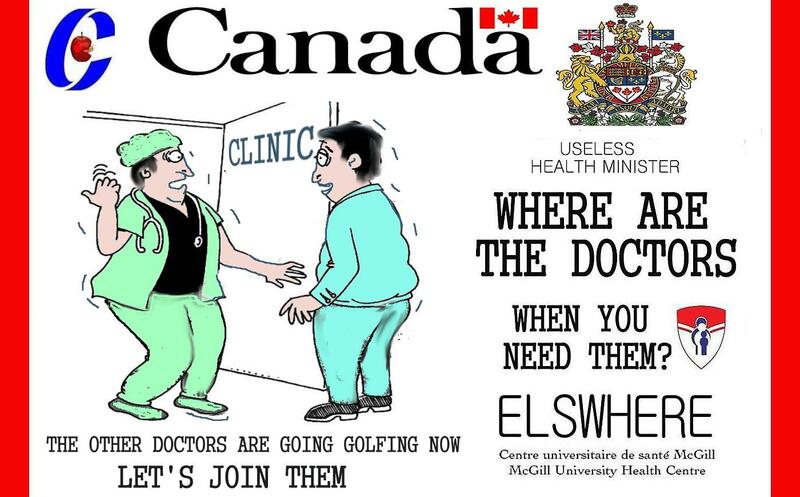 cause these clearly selfish self-centered little local doctors cannot see the whole picture, how their poor actions, inactions affect the health care of many now, next. 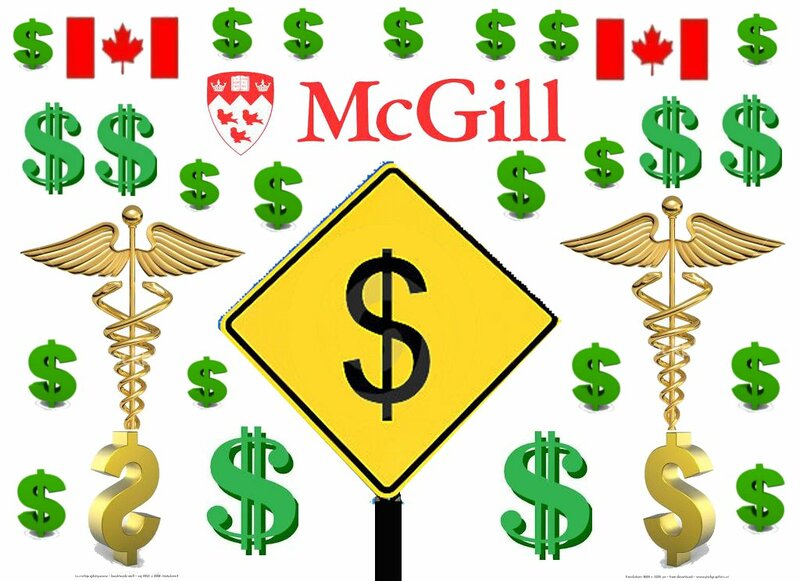 McGill is making a fortune on fees for it’s out-of-town medical students it seems and uses them in their hospitals to a point that the rest of the medical staff, resources cannot help the local people of Montreal now adequately too. 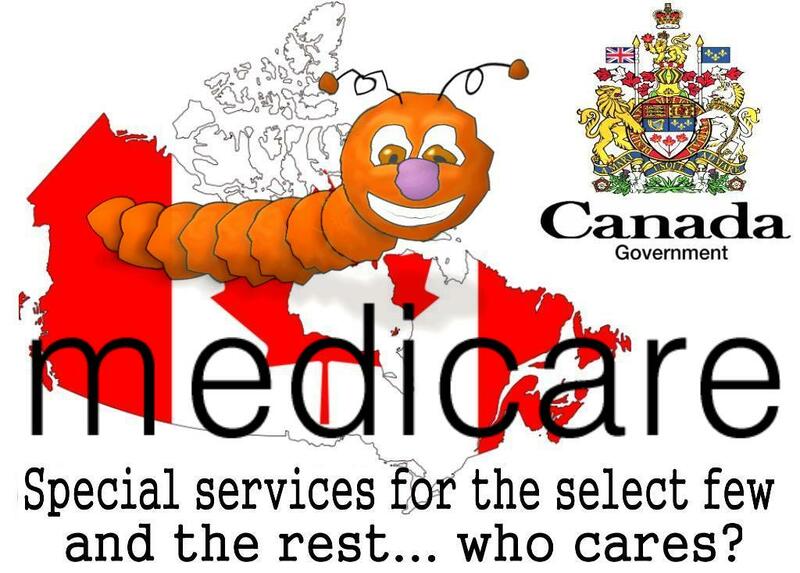 Quebec and other provinces have no such adequate program and why? 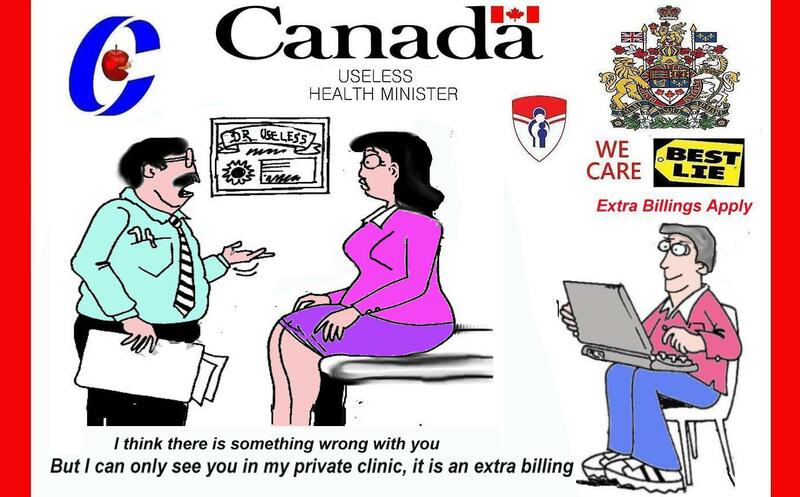 Now about doctors, Staff being allowed to recommend private clinics, how immoral are they, this is a clear conflict of interest, and a bad lack of incentive to improve the Hospital services. 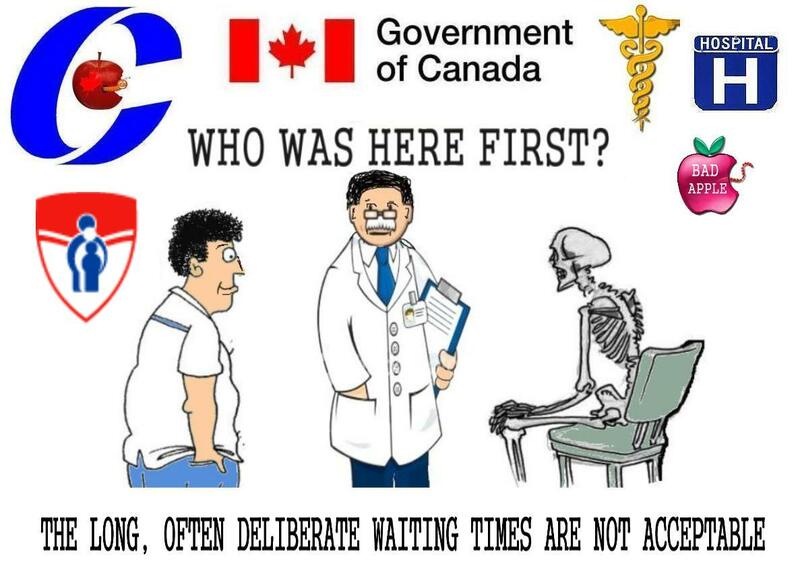 Alberta’s health care has been poorly managed, by health Ministers and Premiers too. 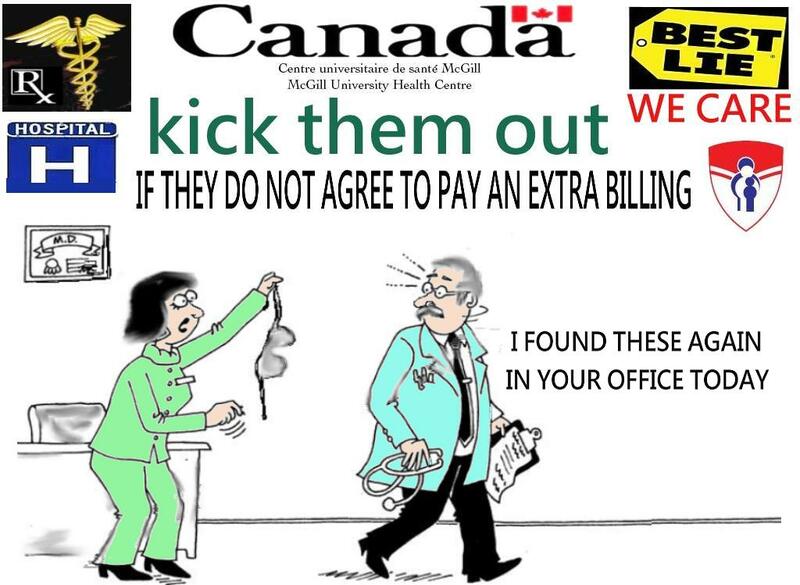 Bad manager, Ex Premier of Alberta Ralph Klein gave in and gave a generous pay raise to the doctors, and this is what predictably happened next! Ralph got what he deserved, he got booted out. 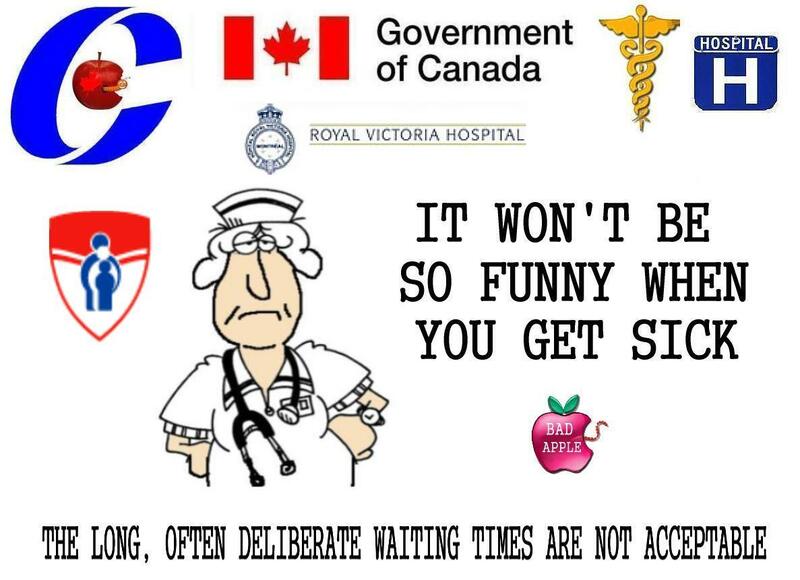 Poorly managed, badly scheduled, self-centered employees too, while one person takes a coffee break, the rest of the staff and the patients are all delayed.. Doctors tend to be poor managers. In addition to not understanding history, the real fact that bad history repeats itself too, they often falsely think they have the authority to do anything they please, and no one will see it, or reap any negative consequences, themselves included. But you are reading about their unacceptable sins already. 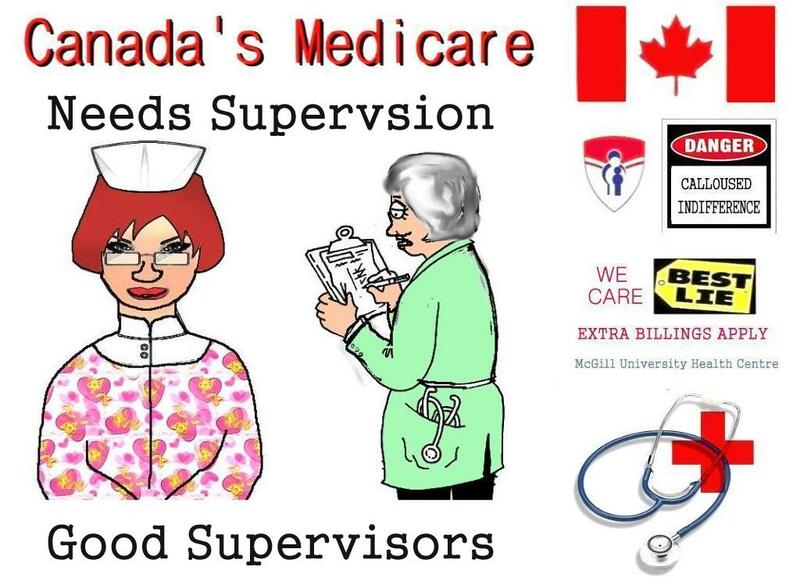 Doctors, Nurses, medical support staff are human, they too sometimes try to get by with a minimal amount of personal effort, and so as result patients do not always get their proper medical care. 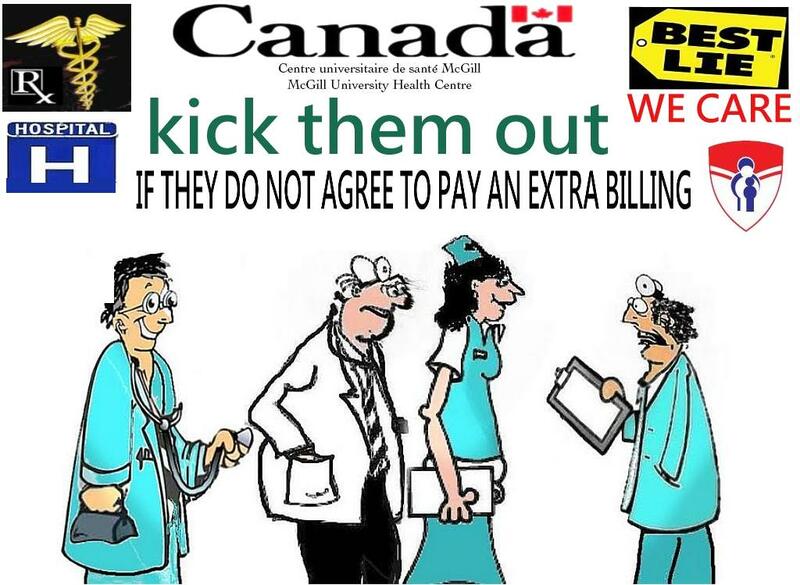 A good rule is never to go to a hospital alone, doctors are afraid of loud mouthed witnesses who can cause them to be sued for mal practice and cause their mal practice insurance rates to go up significantly.. The pretentious hospital chaplains.. While visiting my father in the hospital In one week I next saw three fly by church Priests come to visits the sick patients in the hospitals, and they spend a minute or two with them, and they really, basically did not much good to any of the patients they had visited. One of these clearly visibly useless priests visiting a sick patient did not even recognize another member of his own congregation in the same room, and of course he did not even know his name. How the church has become an impersonaliazed show, merely a financial business it seems today. Now the Doctors are still often asked to cure sick person patients symptoms whose original cause they are basically unaware off. A decent, good, chaplain can maybe help in this matter by first even taking the time to know, listen, hear the patient’s original concerns. What caused this condition or ailment for after all an experienced Doctor should be knowledgeable? How is he now treating it? When did the patient first begin to noticeably improve or worsen? What medication makes it better? What medication makes it worse? What is the Doctor doing now about it? what medication is now being given ? what tests have been done,? All pharmacists do note – Why do we pay so much for drugs? 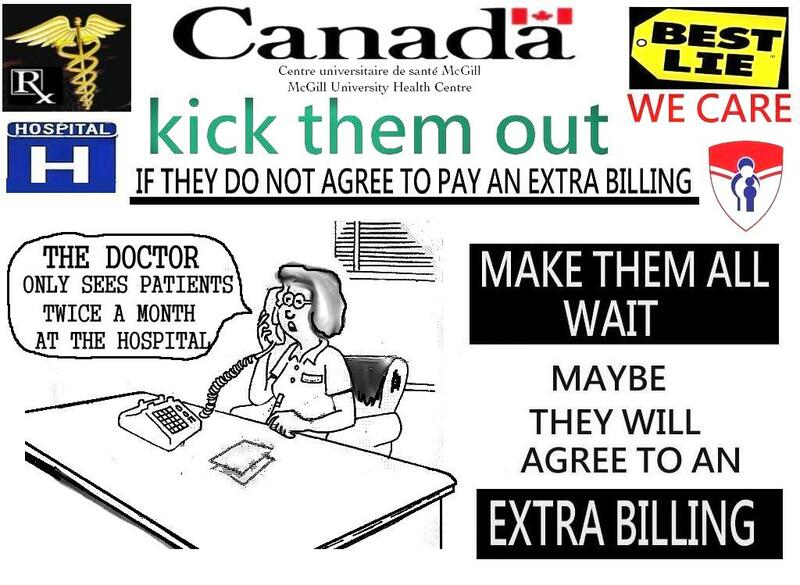 Those price gouging, pretentious pharmacies crying wolf, crying that they are not getting enough profit.. and what a ridiculous approach. 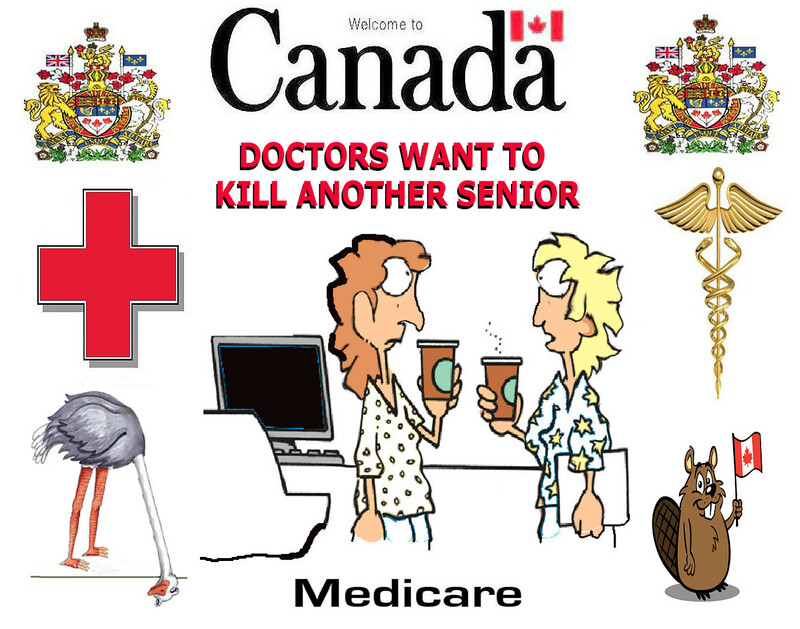 When you are a senior like me who has learned that if you take your medicine you will next live longer, and who has also learned that in real life we cannot hope to live adequately without medicine and doctors, I also have had plenty of time to shop in too many drug stores too. I thus have undeniably have noticed the serious, big price differences for the same items in too many stores. And I know that my local pharmacy has often a 700 percent price mark up on many of their goods .. yes kinda of greedy.. I heard the owner recently of a pharmacy bragging that he was buying medical accessories for 7 dollars and selling them from 70 dollars in his store. 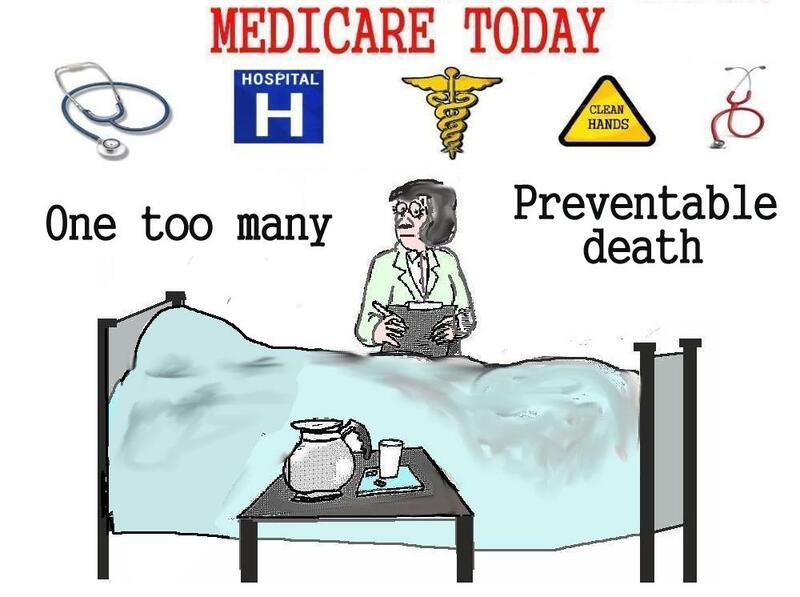 One of the too many false reasons too many patients die in Hospitals is that almost none of the medical staff feel any personal, real, negative repercussions themselves. One of the best way that I have discovered to get to know what a person is really like, is work with him just for one whole day,.. and what you now saw next.. lying, bullying, control freak..